You have just two weeks in Italy and want to make the most of your time. The perfect Italy trip will have you seeing as much as possible but not heading home feeling like you need another holiday to get over the holiday. This is where touring Italy by train is the perfect choice for you. If your from the US, Australia or maybe other parts of the world, you will know that our countries long distance rail systems are not what you would call efficient, time or money saving. Visit Europe or Asia and you will wonder why we just can’t seem to get it right because really it seems so simple over there. Europe is perfect for train travel and Italy is no exception. Its services are fast, efficient, reasonably priced and generally run on time. Being able to hop on the train in the centre of one place and arrive in the centre of another in a matter of hours is much more convenient and less stressful that negotiating busy airports. The seats and carriages are clean and comfortable plus you get to spend some time relaxing and gazing out the window watching the stunning scenery pass by. Italy’s train network runs to every major city and most smaller cities and towns making it easy to get from place to place. There is a lot to see in Italy but with only two weeks you will need to be selective in the places you visit. So, I’ve put together what I think is the perfect two week Italy itinerary by train. This Italy train itinerary takes in four of the country’s major cities, one small town, one stunning coastal region, offers plenty of time for day trips to nearby regions and allows you just enough time to see the major sights in each place without making you rush around from place to place. Day 1 arrival in Rome. This itinerary assumes that you arrive in the morning giving you three quarters of a day to start seeing the sights. Rome is the capital of Italy and once capital of the Roman Empire. This sprawling city is famous for its Roman ruins, incredible architecture, collection of world class artworks and home to the worlds smallest country, Vatican City. Vatican City – The home of the pope and catholic church. Inside you will find incredible architecture and world class art including Michelangelo’s famous painted ceiling in the Sistine Chapel. Take a small group guided tourof the Vatican Museums and St Peter’s Basilica to save you time queuing for hours. The Colosseum – The largest amphitheater in the Roman Empire and the world. While not still in tact today, it still gives a fascinating glimpse into its past. Book a guided tour (which includes the Forum below too!) to skip the queues and learn from an expert. Roman Forum – As the heart of ancient Rome, the Forum was, and still is, one of the most celebrated meeting places in the history of the world. Your ticket to the Colosseum also includes entry to the Forum where you can wander around the ruins and take a walk up Palatine Hill for views over the Forum and the city. The Pantheon – One of the best preserved Roman buildings remaining in the world. What is most incredible about the Pantheon is that most of its original features remain including the marble floors. Spanish Steps – The worlds most famous staircase is constantly abuzz with people day and night. Trevi Fountain – Do as the legend says and throw a coin in the fountain to ensure you one day return to Rome. Piazza Navona – The city’s most beautiful square, featuring three spectacular fountains and surrounded by some of the city’s best baroque architecture. Orientate yourself with a tour! Book a Hop-on-Hop-off bus tour to maximise your time. Train: Rome to Assisi – approx. 2 hours with about half a dozen direct departures each day. Take an early morning departure from Rome giving you most of the day in Assisi. Assisi is a small town perched high on a hill in the region of Umbria approximately half way between Rome and Florence. It is a UNESCO World Heritage listed town that is famous for is magnificent medieval architecture and for being the birth place of Saint Francis. Rocca Maggiore – Hike up to the ruins of a castle perched high above the town. It was rebuilt in the 14th century but originated from the times of Charlemagne. Basilica of Saint Frances – Construction began on the basilica two years after the death of Saint Francis in 1228. The complex consists of two churches built on top of one another with frescoes on the walls dating back to the 13th and 14th centuries. Saint Francis is buried in the crypt under the basilica. Piazza Santa Chiara – Perfect place for views over the Umbrian countryside and olive groves below. It’s always buzzing with visitors and locals. Also check out the basilica of the same name in the square. Piazza del Comune – Take a seat on the stone steps of the Temple of Minerva for some people watching while eating a gelato. Wander the streets – The most rewarding thing to do in Assisi is simply wander its steep cobblestone streets, stopping in local artisan and food stores and admiring the pink hued architecture of this beautiful town. 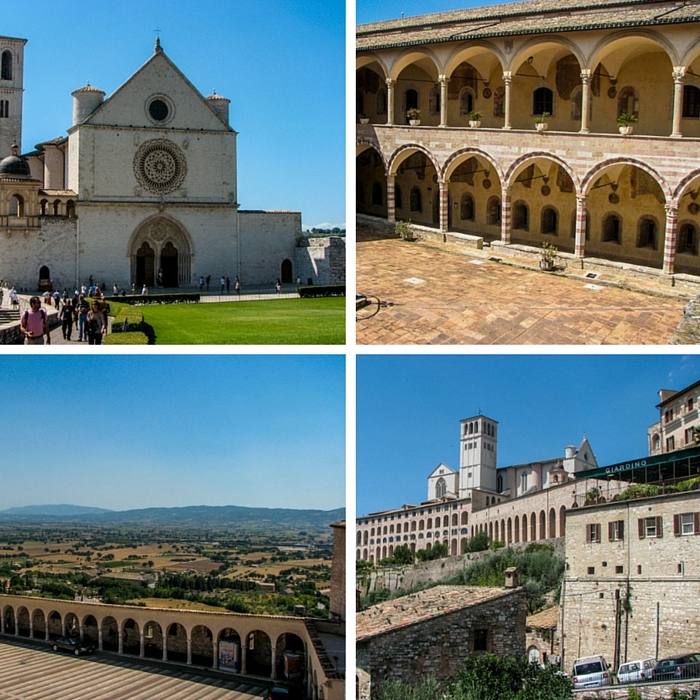 Book a small group walking tour to see Assisi with a local. Located within the the Old Town walls, walking distance to everything. Accommodations are comfortable yet basic, with free wi-fi and an onsite restaurant. Smart hotel located with the Old Town Walls. Enjoy the well appointed air-conditioned rooms, onsite bar and cosy shared lounge room. This stunning property is located within the Old City walls and has lots of character features. Enjoy the in-room sitting area and relax in the lovely private gardens. Train: Assisi to Florence – approx. 2.5 hours with about half a dozen direct departures each day. Take an early morning departure from Assisi to maximise your time in Florence. Florence is a Renaissance city in the heart of one of the most beautiful regions in the world, Tuscany. It is home to some of Italy’s most incredible churches and some of the worlds most famous works of art. Duomo, Cathedral of Santa Maria del Fiore – This massive cathedral in the heart of Florence is a must see for it’s pink and green marble exterior, interior that holds 20,000 people and bell tower which you can climb for views over Florence. Piazza della Signoria – The heart of Florence’s old town. 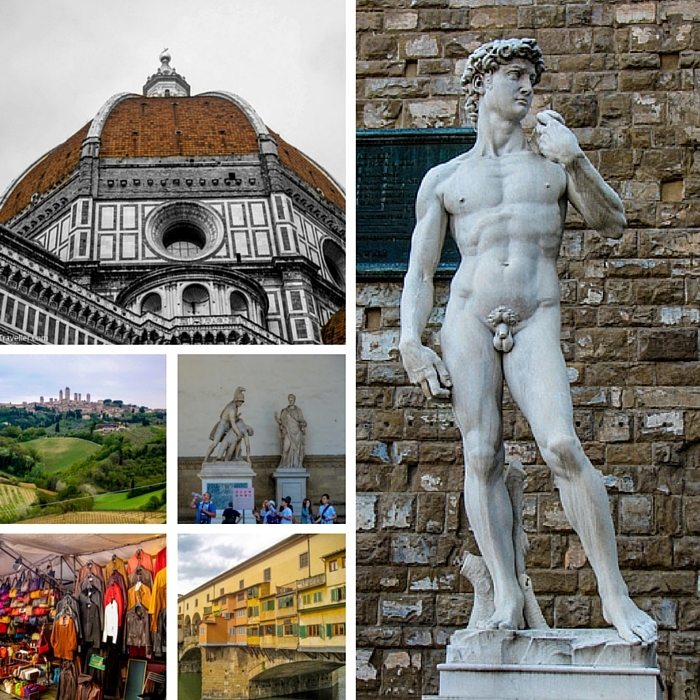 Visit to see the free open-air sculpture gallery including a copy of Michelangelo’s David and to check out the impressive medieval Palazzo Vecchio. Pont Vecchio – Florence’s first bridge built over the Arno river in 1345 and the only one that survived WWII bombing of the city. It is lined with shops selling gold and silver jewellery. Make sure you view it from one of the adjacent bridges as well as walk over it. Mercato Centrale – If your looking to do a bit of shopping in Italy then this market in Florence is the perfect place to purchase genuine leather goods, souvenirs, antiques and food. Day Trip to Tuscany – Enjoy a day outside of the city visiting some of the wineries and hill towns this region is famous for. Check out these tours offered on GetYourGuide. Train: Florence to Le Spezia – approx. 2.5 hours with about half a dozen direct departures each day. Take a mid afternoon train from Florence, arriving in Le Spezia (the best town to base yourself for walking Cinque Terre) early evening. Get a good nights rest ready for a day of walking. Cinque Terre translates to Five Lands and comprises the five small coastal villages of Riomaggiore, Manarola, Corniglia, Vernazza and Monterosso. Each charming and colourful village clings to the cliff face overlooking the ocean and is accessible only by boat, train and on foot. First thing in the morning, head to La Spezia train station and go to the tourist office on platform number one and purchase a €16.00 Cinque Terre hiking and train pass. This gives you access to Cinque Terre National Park, unlimited train travel between La Spezia and the five Cinque Terre towns plus free entry to a selection of museums and attractions in the towns for a full day (multi-day passes are also available). Once you have your ticket, take the train to the first town, Riomaggiore. From there you have three options in terms of exploring these five villages which are all easily achievable in one full day. Option 1 – Train – You can continue to take the train from village to village using your pass getting off in each village to explore and then taking the train back to La Spezia at the end of the day. Option 2 – Walking – This is the most popular option but does require a moderate to high level of fitness to complete the whole track in one day. There are four walks, one between each of the villages, and each one has a different degree of difficulty based on how steep and long the trail is. All four walking trails are not always open due to landslides and weather conditions and information on these closures will be given to you with your ticket. Here is a brief description of what to expect on each trail. Riomaggiore to Manarola – The easiest and shortest of the trails. It is relatively flat and takes the average walker around 20 minutes. Manarola to Corniglia – A bit more challenging. The walk takes about 45 minutes and is mostly skirting along beaches before climbing up to Corniglia. Corniglia to Vernazza – Arguably the most challenging of the four trails. This trail takes about 90 minutes and requires a lot of walking up and down. But you are compensated for your hard work by the best views the Cinque Terre has to offer. Vernazza to Monterosso – Pretty close in toughness as the trail before but this time a bit more flat. You’ll be rewarded with stunning views back on Vernazza. You would then take the train back to La Spezia from Monterosso at the end of the day. Option 3 – Combination of Both – If you don’t think you are fit enough to conquer the whole trail then you have the option of combining both walking and taking the train. The first trail, from Riomaggiore to Manarola is a simple flat walk that is suitable for most fitness levels. And if after completing that section, you feel up to it, you can continue on to Corniglia by foot or just jump on the train. Then taking the train back to La Spezia at the end of the day. As for things to do in Cinque Terre other than hiking, there isn’t anything specific that I would suggest you see. Instead wander up and down the cobblestone lanes checking out the small churches, local food and artisan stores. Stop for a meal (the seafood here is amazing! ), coffee and gelato in the restaurants and cafes. Enjoy a swim at the beach in Monterosso at the end of your day. Located 10 minutes walk from the train station and harbour. Rooms are compact and simple with basic amenities. A homemade buffet breakfast is included. 5 minutes walk to the train station. 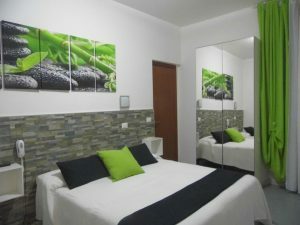 Rooms are air conditioned, comfortable and include free wi-fi. Free bikes are also available to all guests. 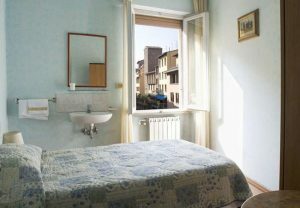 Bright and modern rooms located just 10 minutes walk from the train station for easy access to Cinque Terre. Rooms are air conditioned and feature artworks from local artists. Train: Le Spezia to Milan – approx. 3-3.5 hours with around 10 direct departures each day. Take an early morning train from Le Spezia to maximise your time in Milan. 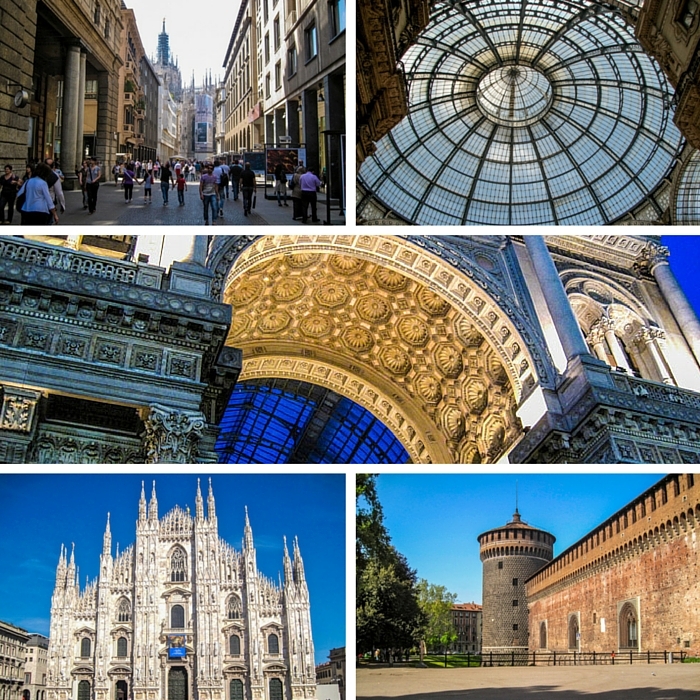 Milan is often overlooked by visitors to Italy in favour of visiting some of the more historic cities and regions. But this shouldn’t be the case. It’s a city full of beautiful Renaissance architecture, incredible cathedrals, world class works of art and it is one of the fashion capitals of the world. It’s also the perfect place to base yourself for day trips to the Italian Lakes and Southern Alps region. Duomo of Milan – The largest gothic cathedral in the world can be found right in the centre of Milan. Construction began in 1386 taking 500 years to complete. It’s an impressive sight both inside and out plus it offers a great vantage point from the roof. Santa Maria delle Grazie – Home to Leonardo Da Vinci’s Last Supper fresco. If you want to see this incredible work of art it is necessary to book in advance. One option is to visit on a guided tour where you will get to see this incredible work of art with an expert. Sforza Castle – Situated in the centre of the city is Milan’s Castle which is home to a bunch of art museums including one containing Michelangelo’s last sculpture. Even if you don’t want to visit the museums, the castle is a great place for a stroll through the courtyards and surrounding parklands or to see the very animated fountain out the front. La Scala Opera House – Italy’s finest opera house can be found in Milan. If you can’t afford the exuberant prices to see a show then you can enter the museum during the day on a tour to see paintings, musical instruments and get a glimpse at the stalls and backstage areas. Galleria Vittorio Emanuele II – This huge glass roofed shopping arcade links Duomo Square with La Scala. The stores you will find inside are mostly high end fashion brands and expensive cafes. Take a wander through to admire the roof and the mosaic tiles. Day Trip to Lake Como – An easy 30-45 minutes train ride from Milan is spectacular Lake Como. When you get off the train and Como Nord Largo (beware, there is three train stations in Como), hop on one of the ferries that goes up and down the lake stopping at the small towns along the way and passing houses owned by Clooney and Branson just to name a few. It’s a beautiful day out with mountain peaks and sheer cliff faces towering over the lake. Hop off at the town of Bellagio, at least, and explore it’s cobblestone streets and charming stores and cafes. Alternatively, you can join a tour to Lake Como from downtown Milan. Book a Hop-on-Hop-off bus tour to see it all. Nearby access to public transport and walking distance to the castle. This hotel is simple yet comfortable with ensuite bathrooms and basic in room amenities. Located seconds walk from the metro and nearby the castle also. Rooms are air conditioned and come with comfortable amenities. Free breakfast is served in the restaurant each morning. 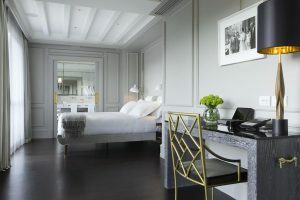 This hotel offers the ultimate in luxury with indoor pool and fitness centre, 2 Michelin star onsite restaurant and exquisitely decorated rooms all house in five interconnecting grand 18th century buildings. Train: Milan to Venice – approx. 2.5 hours with at least one direct departure each hour. Take an early morning train from Milan to optimise your time in Venice. Italy’s sinking city, Venice, is made up of 118 islands connect by bridges and separated by canals, and is literally sinking into the marshy ground it was built on. It’s a city renowned for it’s beauty, architecture and artworks and is best experienced without a map, getting lost in the maze of cobblestone streets. Piazza San Marco – The city’s largest square and main meeting place. It is surrounded by cafes, shops, museums and some of the city’s best architecture. Beware of the very tame pigeons! Basilica San Marco – Located in Piazza San Marco, this basilica is one of the best examples of Byzantine architecture in the city. Inside you will find incredible mosaics and paintings by some of the areas best artists. The Grand Canal – This is the main and largest canal that snakes it way through the centre of the main island. It’s always busy with boats and barges running up and down carrying goods and people from dock to dock. A great way to do a quick sightseeing tour is by jumping on a vaporetto (Venice’s public transport) at one end and hopping off at the other. Rialto Bridge – This ornamental stone bridge spans the Grand Canal and is the most popular of Venice’s bridges. It’s a very lively spot where you will find shops and markets lining the bridge. Take a Gondola Ride – While prices for a private gondola ride are close to €100.00 these days, to me, it is still worth the cost for this quintessential Venetian experience. If your lucky to get a chatty gondolier, he will entertain you with stories and maybe even serenade you as you punt along the canals. Most gondola’s seat 6-8 people, so sharing with others is a great way to save money (and so is booking in advance!). Explore the Islands – Just a short boat ride away from the main island of Venice are a number of popular islands you can explore. Murano is know for it glass makers, Burano it’s canals lined with coloured houses and lace making and Lido is lined with beaches, restaurants and shopping. 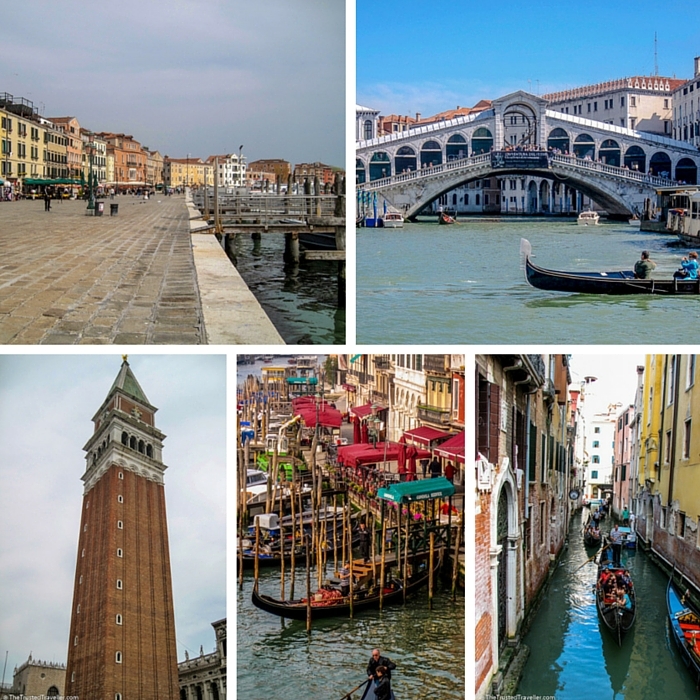 You can reach all of these islands from the ferry terminal near Piazza San Marco or you could join this three-hour guided tour to see it all with a local! Located just steps from St Marks Square. 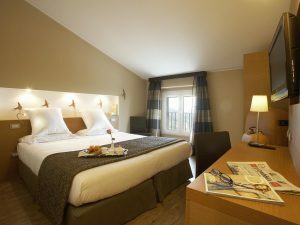 This hotel offers free wi-fi, basic yet comfortable air conditioned rooms and the choice of shared or private bathroom facilities. While travelling by train is never going to be as cheap as taking a bus, or in some cases flying with a budget airline, it is going to be more comfortable, scenic and time saving. There is a lot of debate about whether purchasing a rail pass is the most cost effective option when travelling by train in Europe. Really, it all comes down to the amount of travel days you plan on taking during your trip. 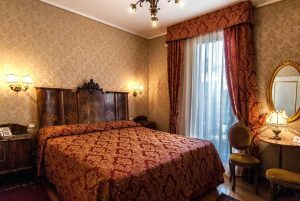 For this exact itinerary above (not including day trips), you will have five travel days, Rome to Assisi, Assisi to Florence, Florence to La Spezia, La Spezia to Milan and Milan to Venice. Here are the average prices based on one adult travelling alone for both point to point tickets and rail pass. Point to Point – Adult point to point tickets including seat reservation fee where applicable for all of the five journeys – 1st Class €155.00* or 2nd Class €110.00*. Rail Pass – Adult Italy Rail Pass for five days of travel in a one month period – 1st Class €287.00* or 2nd Class €232.00* plus seat reservation fees where applicable. The cheapest option by far for this itinerary is to purchasepoint to point tickets. Visit the Rail Europe website in your country using the links below to purchase tickets. Alternatively, tickets are available at all Trenitalia train stations across Italy on the day or in advance but prices will likely be higher and there may not be availability for specific trains,especially high speed services. For a comprehensive guide to Europe train travel I recommend The Man in Seat 61. Or for an accurate one stop shop of Europe train timetables check out the German Bahn website. * Prices correct as at time of publishing. Flying into one city and out of another will save you time rather than having to double back to your original destination to fly home. The way airlines work in terms of pricing these day you should not be penalised for doing this. Pack light. A backpack or light weight soft case is a good option as it makes getting on an off trains much easier. Discounts are available on train tickets when traveling in groups of 2 or more, as a family unit, or for people aged under 26. Prices for point to point tickets above are averaged and may be cheaper or more expensive depending on how far in advance you book and whether there is a sale on at the time. If you have an extra few days to spend in Italy then I suggest heading south from Rome at the beginning of the trip to Napoli, Pompeii, Sorrento and the Amalfi Coast. What is your favourite part of Italy or where are you most keen to visit? I love Italian trains- the choice between high speed and cheaper local trains make it the perfect way to see the country! I haven’t been to Cinque terre yet but it’s on my list- all the little towns look so gorgeous. Totally agree Hannah. Hope you get to visit Cinque Terre soon. I am traveling Italy in august. Is it good time to travel? Hi Ali! August is when i visited Italy and found it to be a great time of year. It can be quite hot though but that also means really great weather. Dont hesitste to contact me if you have any more questions about your exciting trip! Thank you Jen for your prompt reply. I am flying into Venice and Leaving out from Rome, Is it a good Idea? My pleasure Ali. Yes that sounds like a very time effective way to go. Saves you from having to backtrack to your starting point. What cities, towns or regions are you planning to visit? Hi, I need some help planning my italy itinerary. I found cheap tickets to naples and going back to the us from naples. I know there will be back tracking, but wanted to know if this was ok. I have about 12 days (including travel) in September. Any advise would help. Backtracking won’t be a problem as Italy is relatively small so doing a loop would be fine. I’d be happy to help you put together an itinerary that would suit you. Email me what you have so far and we can go from there. What else we can do in 4 days ..? Glad you like the itinerary. I would suggest for 12 days, following the same itinerary I have suggested above except remove Assisi and this will give you 12 days. Great itinerary tips! I feel the same way about the train – it my favorite mode of transportation in Italy (and Europe). Thanks Elena. The only way to train in Europe I think. Great itinerary! We took a train through Italy on a similar route back in 2007 and it was one of the best experiences – great way to get around the country. Though we missed Assisi so may have to get back! Thanks Megan. I think visiting Assisi is a definitely a good excuse to go back to Italy. Hi Jen! Are you still giving advice on Italy Itineraries? Feel free to leave a comment below and I’ll do my best to advise. This is awesome! I love the way this post is crafted – it’s really nice and easy to read for it being a lengthy post full of information. The galleries of images is a nice break from text, as are the headings. Perfect summary here! Thanks Alli, appreciate your feedback. I love trains! They were my favorite way to get around Asia. I definitely miss cheap, efficient transportation now that I’m back in the States. Me too except I’m in Australia. Not much in the way if cheap and reliable transport here. I’m interested in a well priced package that spends 3 days in Milan, 3 in cinque terre… I’d like to extend the trip and spend some days in the Tuscany region would this be possible if we are leaving from Milan or is it too out of the way?… I would appreciate any suggestions. Absolutely not! 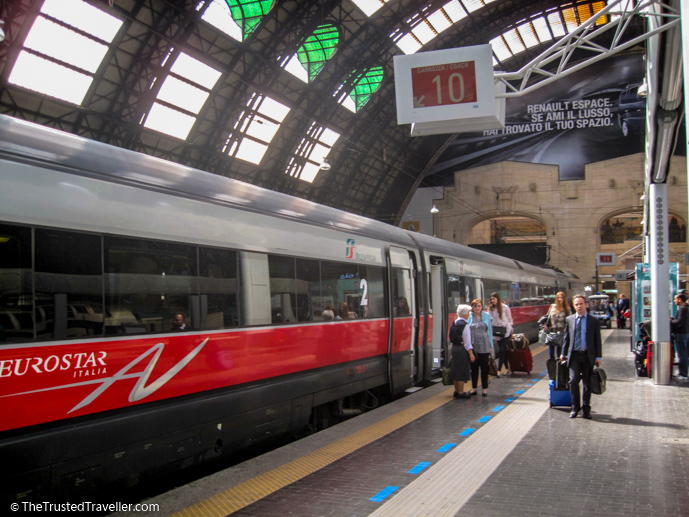 Italy is a reasonably small country and with the addition of high speed trains, it makes it easy to get around quickly. I would suggest at least 3 days in Tuscany, maybe basing yourself in Florence and then taking a day trip to the other towns and the countryside. Thanks Alexandra. Hopefully someday comes soon for you! Thanks so much Els. Budget airlines are so great yet so bad all at the same time! Great itinerary! Although I could spend months in Italy and not run out of things to do, this would be a great trip for a first time visit with the limited time most of us had. And I loved traveling Italy by train – it was so easy and the views were amazing! Thanks Amy. I agree, Italy offers infinite options for travellers an using there trains just makes it easier. I love Rome, but I think the Cinque Terre is my favorite part of Italy. We stayed in Vernazza and took the train and hiked to the other towns. We ate some of the best food in Vernazza too. Such a beautiful area. It certainly is Katherine. I remember eating really fresh seafood and pasta. We are planning our trip to Cinque and I’m not sure what would be the best route coming from Venice and thinking about spending a day in Florence and then to Cinque… what do you suggest? and also is La Spezia the stop for Cinque Terre? and how would we get into Vernazza from the station? Just one day in Florence won’t give you much time when you factor in the 3-4 hours it will take you travelling to and from it on the trains. I’d suggest giving it at least one night if not more. La Spezia is the largest town close to Cinque Terre and is known as the gateway to the region. You can choose to stay there and day trip along the coast or transit through there to access the train that runs along the Cinque Terre. As for getting into Vernazza, just take the train from La Spezia and the station is right in the town. When you get off, everything is less than a few minutes walk away. Hope this helps and that you enjoy this beautiful part of Italy. That is great to hear Deepti. Hope you enjoy your trip! Indeed a great itinerary and comes very handy for people who are venturing into Europe travelling for first time. I loved trenitalia trains and used them during my travels in Italy way back in 2009. They are the best way to see Italy. We did not see a lot of the places, but mostly explored the iconic cities only. Would love to go back there and explore Tuscany, Sicily, Assisi and the Amalfi coast. Thanks Anu! I love the trains in Italy and Europe. Hope you get to visit some other parts of Italy soon! Ughh all your Italy posts are giving me major travel envy! 😀 This is such a useful guide. I would love to go to Milan! Thanks Jessica! Just writing them made me want to go back. I love this itinerary. Italy is definitely on my bucket list. Thanks Ashley. Hope you get to visit Italy soon. We are hoping to travel to Rome for 3 nights then take a train to Florence for 2nights then head to Pisa for the morning on the way to la spezia. I have read on other websites that luggage can be stored at Pisa centrale train station. Do you recommend this? We just want to see the tower before we head to Cinque Terre later that day. We will be travelling with our 2 boys (10 & 13). We also planned to buy our tickets at the stations as we weren’t sure what times we wanted to travel. Do you recommend this in September or is it best to book ahead? Yes, there is a luggage storage option at Pisa Centrale Station where you can store your bags for an hourly fee. Another option which would cause you less hassle is having your bags transferred from Florence direct to La Spezia. With two teenage boys, this may be a better option. You shouldn’t have any problems buying your tickets at the stations on the day as it is the shoulder season meaning it shouldn’t be too busy. Try not to travel during morning and evening peak times otherwise you may find yourself standing all the way. Mind you they are only short journies. I hope you and your family have an amazing time and please let me know if you have any more questions and report back about your trip when you return, I’d love to hear all about it. That’s something I didn’t know about. I will definitely look into it. My pleasure Melissa. If you have anymore questions don’t hesitate to ask. Happy planning and travels! Thanks Jenn! Glad I could be of help to you. I was wondering if you have been down to the south of Italy at all? A place called Lecce? Also with the low budget airlines mentioned, are there any good ones you recommend? Thanks Kirstie. I’m so glad that this post has helped you. I have never been any further south than Sorrento unfortunately so I can’t really provide you with any recommendations for Lecce. Lonely Planet http://www.lonelyplanet.com/italy/puglia/lecce/things-to-do has a good guide on things to see in Lecce you can check out. As for budget airlines, they are all much the same. If you are flying from the UK or within Europe flight time is short so it’s easy to make to with little leg room and slightly uncomfortable seats. My tip is to pick the airline that offers you the cheapest price with flight arrival and departure times that are convenience to you. Feel free to email me if you have any more questions. Happy travels! Jen & Kirstie I was about to comment that an itinerary of Italy that doesn’t go south of Rome is very much a glass half empty. travelling in the south is harder – it is poorer and the infrastructure isn’t as good but for many it is more Italian – more passionate, more crazy and more intense. And Lecce is was of the jewels of Italy not to be missed. There are many others in the south and Sicily well that might just be the best of the best! Thanks Simon. This itinerary is purely based on my experience. I would love to one day explore further south. Glad I could help Sarah. Happy travel in Italy! 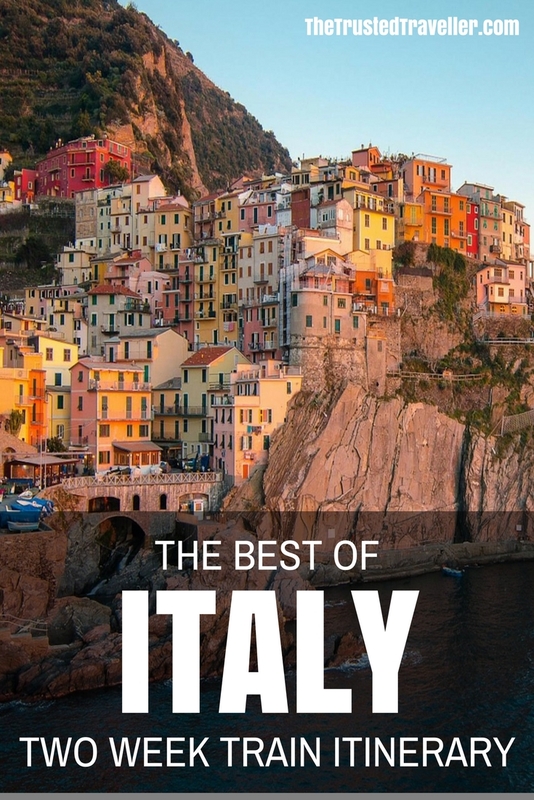 This is a great itinerary that includes a lot of wonderful spots of Italy, it is a bit fast pace for me but still lovely. Train travel is one of my favourite, but there might be a cheaper way to move around the country, it’s car-sharing. We’ve been using it a lot recently but it means being a bit more flexible which it might not necessary go with a thigh schedule. Hi Cheryl! What an exciting trip you have planned. Id be happy to pass on some advise and will send you an email with a few suggestions shortly. Hi Jen ! I’m traveling to Italy this June with my family starting from Venice and my return flight is from Rome we have 2 weeks can u please let me know which places to go after Venice and what traveling method should we use thx. Hey Sally! Thanks for stopping by. You trip is going to be amazing. Italy is auch an incredible country. I suugest 3 nights in Venice to really soak it up then onto florence for another 2-3 nights. From there you can do a day trip to Tuscany which is just lovely. Back track a little to Cinque Terre to walk or take the train to the five towns. 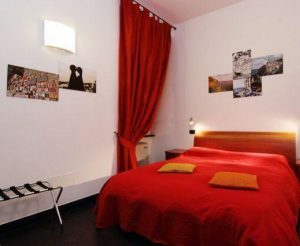 You’ll need 2 nights there staying in either Le Spezia or one of the five towns depending on your budget. Finish up in Rome for 5 nights. There is heapd to see in Rome and you can take a few nice day trips from there to Orvieto and/or Assisi. I suggest you do all of this by train with maybe the odd day trip tour thrown in. Trains are incredibly easy to use in Europe and drop you right in the heart of each city so its super convenient too. Feel free to drop me an email with any other questions you might have. Im move than happy to help. Happy travels! Hi Jen, your itinerary to see the best of Italy in 2 weeks is very helpful. My husband and I are planning a trip to Italy this April for 2 weeks to celebrate our 25th wedding anniversary. We were thinking of visiting Milan, Venice, Florence, Rome, Naples and Capri islands. But your suggestion of seeing Cinque Terre is very interesting. We will be travelling from India (Bangalore). Is April a good time to visit Italy? Any more suggestions about the places we could cover in 2 weeks? Jen, thank you so much. I would surely like to visit the Amalfi coast, but my only constraint is time. Your advice to go to Sorrento and then to Capri is well taken. I would include Pompeii if I can make it a day trip from Sorrento, is it possible? Thank you. My pleasure Gayathri. From Sorrento it is an easy to do half or full day trips to Pompeii, Capri and Amalfi Coast. Viator is a great website for finding tours. Here is a link to my affiliate page http://www.partner.viator.com/en/14046/ Feel free to email me thetrustedtraveller@gmail.com if you want more help picking tours or with any other travel planning questions and I’ll be happy to help! Jen, thank you so much. How safe is Rome and South Italy from your experience? I am getting a lot of reports that pick-pocketing and purse snatching are rampant, especially on trains. Petty crime like pick-pocketing etc can happen anywhere in the world, and Italy is no exception. Where there is tourists there is petty crime. It is completely unavoidable and not something you should be worried about. My advise is to never carry too much cash or valuable items with you and make sure you know where your belongings are at all times. Never put your wallet in your back pocket. On the trains keep your bags close or within eye sight. There are racks above the seat that will fit large packs (we put 15kg, 60L packs up there no worries) and racks at the ends of the carriages for larger bags. I really hope this assures you that there is nothing to be concerned about and just enjoy your trip. We are back from our two week trip to Italy and we had a wonderful time. Your advice and itinerary were very helpful. Thank you so much. We started from Venice, went to Sienna and then to Florence, then Rome. From Rome we went to Pompeii and Mt. Vesuvius too. The weather was excellent throughout. I took your advice and booked the tours on Viator – they were really good. Thanks once again. Oh I am so glad to hear that you had a great time Gayathri and that my itinerary and advise was helpful. Feel free to get in touch anytime when planning your next adventure! Such great guide! I love it =) We have only been in Rome and then the Marche region.. This opened up my eyes for the rest of Italy, love this country! Thanks Jessica. Hope you get to explore more of this wonderful country soon. Do you have any recommendations for a driver for hire for a family of 6? We plan on being in Tuscany as part of our trip in early August. This isn’t something I have personal experience with but I can certainly ask around with some other travel bloggers and see if I can get a recommendation for you. I’ll get back to you as soon as I can. Thank you for the great tips! I will be traveling with my family to Italy for 2 weeks in December 2015. We are 8 people. I would like to follow your suggested itinerary; however, is it also doable in December (winter time)? Also, we will arrive in Rome and have to fly out of Rome too. Thanks in advance for the help! Sounds like your going to have an amazing family vacation. Because of Italy’s Mediterranean location it doesn’t get as cold as some other parts of Europe however the can still get pretty chilly in the north of the country around the Alps. This shouldn’t cause you any problems travelling in December. In fact I imagine it will be much quieter than in summer. As for finishing up in Rome that it easy. All you have to do is take the train back to Rome when your finished in Venice. The journey is about 3 hours 45 minutes and there are services about once an hour with no changes required. I hope this has been of help and do let me know if you have any more questions. How long is the train from Rome to Cinque Terre? Both by slow and express train, also what would be the prices for both options? The fastest way to get from Rome to Cinque Terre is by direct train to Le Spezia and then change to a local train to the towns along the Cinque Terre. This will take you around 4-4.5 hours. The slower way would be to make an additional change in Florence. The journey for this would be around 1 hour more. In terms of prices, this is depend greatly on the time of the year, day of the week and what class you wish to travel in. You can find links under the Train Tickets section above to my suggested ticketing agents relevant to your home country. Feel free to email me at thetrustedtraveller@gmail.com if you have any more planning questions and I’ll be happy to help. I came across your forum and found it great helpful. we couple are planning to travel italy for 2 weeks in dec 2015. we wanted to visit Rome , naples (Pompei, sorronto and Amalfi) Florance, Pisa and Milan and venice and if posible to Rimini as well. ( but i dont think we have enough time for rimini). our plan is to travel by train to these places. we are from melbourne and our starting point is to Rome and return filght from Venice. Now my concern is if we should go for point to point train tickets or for a rail pass. As far to understood rail pass doesnt do reservation and not sutiable for this trip. What you do recon ? Any suggestion on my plan ? can i plan somthing better ? And also is there any necessary to book a car or can we manage all places by train ? This is our first trip to italy for both of us and we are very much excited about our trip :).. Your trip sounds really exciting! I think your itinerary is perfect but you may struggle to fit in Rimini. My suggestion would be to spend more quality time in a few places rather than trying to fit in as many as possible. And arriving in Rome and departing Venice is a very smart thing to do saving you time and money having to double back to your starting point at the end of the trip. With your train tickets you do have two options. Point to point and a pass. Before you book either option make sure you check the prices as a pass is not always cheapest. It depends greatly on how many segments you travel and what type of trains you travel on. Fast, express trains that require reservations cost more. Seat reservations can be made on top of your pass and cost extra. I highly recommend checking out the RailPlus website for more details on rail tickets. Their customer service team are extremely helpful with answering questions and assisting you with making bookings and seat reservations. I use them when I travel by train. I definitely think the train is the way to go. If you had a car you would likely find it a hassle to park in just about every place your visiting and once your in a city for a few days a car is useless as public transport in Italy is efficient. Please don’t hesitate to email me thetrustedtraveller@gmail.com if you have any more questions or just want to bounce ideas off me. Thank you Jen. I will check the Railplus website for the train details and take ur advice to spend quality time in few places rather than rushing up. Good luck and feel free to contact me at any time with questions. Jen, this post is excellent! Easy to follow and rich with informations! Your itinerary is really good as well: you touch some within the best places to see in Italy. I’m hope you had a good time and that you will be back. Thank you so much for taking the time to provide me with those lovely comments Carlotta. I love Italy and do very much hope to visit there again someday. I would like to train travel Italy in June. It is difficult to say for June as it is coming into peak season. I believe you would have more chance in June than say July or August (peak season). What you could try is booking online a few days in advance when you have more of an idea of what your plans are. This will most certainly guarantee you to find something. Also try to avoid being in places when there are events or festivals happening. Accommodation disappears months in advance when things are going on. my wife and I will be staying with family in Tuscany for a week. Would it be possible to do some of these as day trips from tuscany? Absolutely, getting to places like Florence, Siena, Pisa and Lucca (just to name a few) are really easy from Tuscany for day trips. For places further afield you could still do it in a day but in my opinion it wouldn’t be worth it. You could try some overnight trips if you did want to travel outside of Tuscany. Happy travels. Hey Alyssa. Thanks for getting in touch. Just got your email and I’ve just replied. Thank you for such wonderful information! Planning a two week Italy/Paris trip, post high-school graduation with my daughter, flying into Athens and flying out of Paris. As we plan to spend most of our time in Italy, this itinerary is perfect — thank you! two general questions: (a)do you have any thoughts/suggestions on train travel from Italy to Paris? 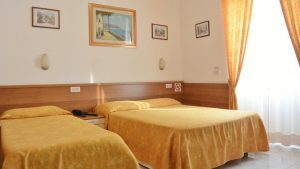 (b) Is there a particular site you recommend for lodging information in Italy? Thank you again for taking the time to post all this wonderful information – it’s truly invaluable to those of us visiting a country for the first time. Sounds like a great way to celebrate your daughters graduation. From Milan in Northern Italy there is a direct overnight train that you can get to Paris which takes around 10 hours. You’ve got the option of doing the journey in an ordinary chair or having a sleep cabin. There are both private and shared cabins onboard. From anywhere else in Italy you are looking at 14 hours at least with multiple changes required. Flying might be the best option here. As for booking sites, this will depend entirely on where you are from as each country has its own agencies. If you are in Australia I recommend RailPlus.com.au. Accommodation will depend entirely on what your budget and style is. If you are after cheap then you can find hostels on HostelWorld.com. Most hostels are more than dorms and offer private rooms with private bathrooms. You get lots of inclusions, with some even offering free wi-fi which you would usually have to pay a hefty fee for in ordinary hotels. Feel free to email me any time with more questions or just to run any ideas you have by me. Jen, this is incredible! I’ve been procrastinating planning my trip because I was just too overwhelmed. Your itinerary is so incredibly helpful, I feel as if I have an idea of what I’ll be doing now. Can’t thank you enough! So glad to help Lindsey! It is pretty simple to get from Rome to Sorrento and 1-2 nights there would be enough for you to see the Amalfi Coast on a ferry for the day. If you love stunning coastline and relaxed villages then you will love Amalfi. While Milan is nice, Italy has so much more to offer. My advise would be to skip it and allow yourself more time to get to Amalfi or spend more time in Rome, Venice or Florence. While it might be a little hectic fitting in Rome, Venice, Florence, Cinque Terre and Amalfi, it is most certainly doable with enough time to see the main sights and a few off the beaten path ones as well. I have no idea about travelling in a wheelechair but a good friend of mine does. I’ve messaged him and will let you know if he can help soon. This is amazing, thank you for the great itinerary! My wife and I are going on a 2-week vacation in Italy this August (our first time in Europe too). So this is such a big help, we’re so excited! Our itinerary begins with 4 nights in Venice, 4 nights in Florence, and capped off with 5 nights in Cinque Terre (Riomaggiore). We plan to visit the museums/galleries, churches/historical sites, and lots of walking around during our stay in Venice and Florence. We’d book ourselves a half-day Chianti wine tour as well. But after that, we’d just relax by the sea and absorb as much of the coastal villages during our loooooong stay in Cinque Terre. We haven’t reserved rooms nor bought plane tickets yet so our plan is completely flexible as of this moment. But are we staying at each city too long? Should we insert another city in our plan? What do you think? So glad you found this helpful. Your itinerary sounds really great and nice an relaxing. If you wanted to fit one more place in then I would suggest Rome. 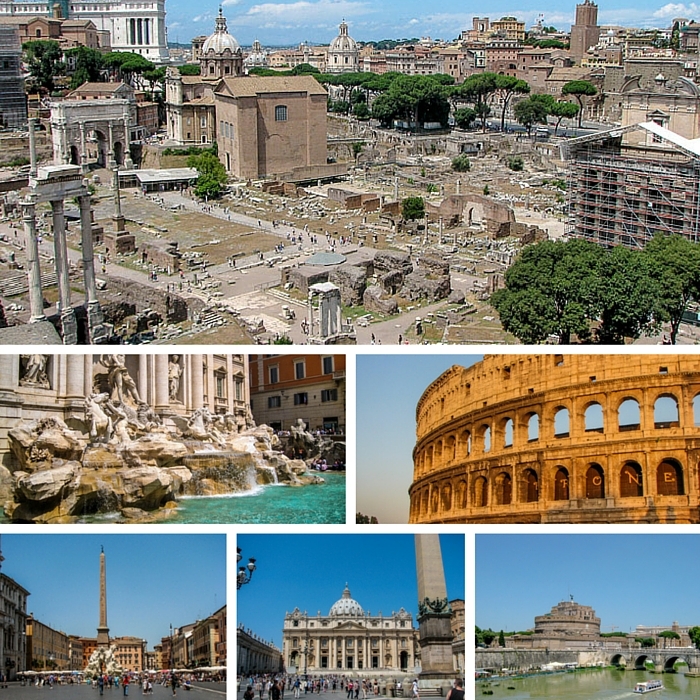 You could take 2 nights from Cinque Terre and one each from Venice and Florence to do 4 nights in Rome. If you decide to do this I suggest flying into Venice and out of Rome to avoid having to back track. If you want a really relaxed trip with lots of time to just chill then I think what you have already is just perfect. 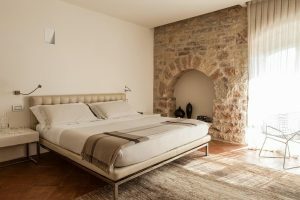 If you’re looking for places to stay I have just created a new page that is full of my recommendations based on my experience. You’ll find it here https://thetrustedtraveller.com/where-to-stay/ . Feel free to email me at thetrustedtraveller@gmail.com if you have any follow up questions or want to run anything by me. I’m always happy to help! I have the age old question of luggage. I’m traveling in Italy for about 3 and a half weeks this summer with my mom. I’ll be in Milan, Tuscany, Florence, Cinque Terre, Rome, Naples. I always debate whether or not to take a bag with wheels or a backpack. We will be traveling internally exclusively by train. Do you still recommend a backpack over a bag with wheels? Lost of cobbled streets? Stairs with no alternative but to carry bag? I’d hate to be schlepping a bag on my shoulders the whole trip but I will if it seems that it is easier than struggling with a rolley bag. I am more partial to a backpack for trips where I will be moving from place to place so that is what I would suggest for your trip (which sounds great BTW). There are also bags that are backpacks but also have wheels which give you the freedom to do both, however as you can image the bag weight alone is quite heavy without all over your stuff in it. If you do go with a backpack I have a few tips for taking some of the weight off your shoulders. – Pack smaller bottles of toiletries with just enough in them to last your whole trip. – Carefully consider what items of clothing you pack ensuring that each item goes with at least two others and can be used for multiple occasions. – Consider investing in some quick dry clothing that you can wash in the hotel sink. – As much as we love out electronic devices these days, avoid taking too many as each one is extra weight you have to carry. I hope you have a really great time in Italy. Thank you so much for such an informative article, it’s a life saver for first time visitors to Italy like us. We are planning a trip either beginning of August or mid September (still trying to decide, since we don’t like hot wheater) for about two weeks, and your itinerary sounds great, except that we would love to spend a couple of days on a beach. Which beaches would you say are must see in Italy and how would you change your itinerary to make this happen? Thank you in advance! I am so glad this itinerary has helped you. Firstly if you don’t like the heat I would recommend September over August. We were in Italy in August and it was very hot. I have a few suggestions for you to spend a couple of days on the beach. 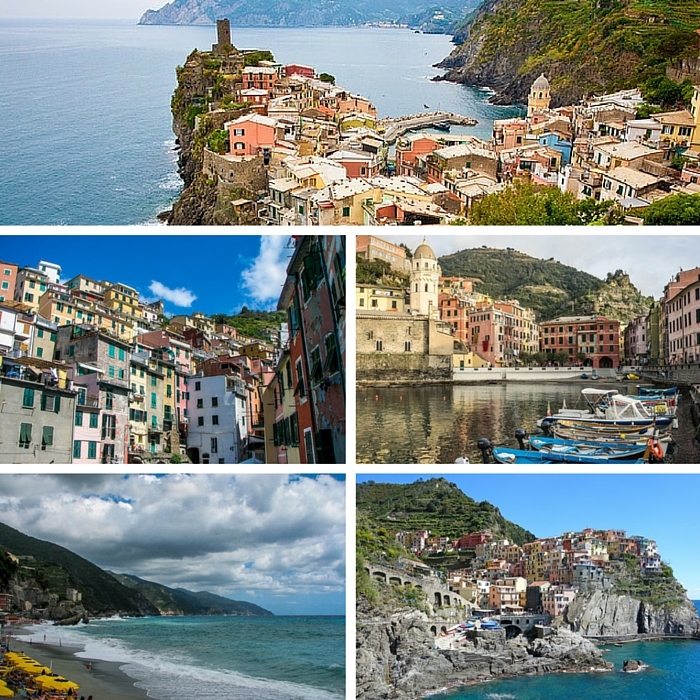 You could add a few additional days in Cinque Terre. The town, Monterosso, has a lovely beach. 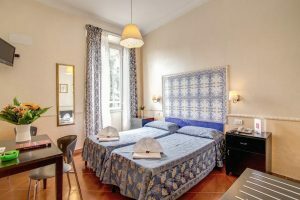 Or from Rome you could travel south to the Amalfi Coast and Sorrento where you could stay a few days and enjoy the villages with nice beaches. Both of these options could be done within the two weeks with a few adjustments to the rest of the itinerary. Alternatively, if you have some additional time, I have heard only great things about Sicily, which would require a bit more effort to get to, but you’d be rewards with some of Italy’s best beaches. Good luck with you trip planning and please don’t hesitate to let me know if you have any more questions as I am always happy to chat travel!. I am travelling with my wife and two kids 6 & 12 on june 8th for 2 weeks. I will be flying into venice and leaving out from Rome. Any thoughts how do I plan for my trip? You kids must be excited for the trip! This itinerary is a great place for you to start as it is two week exactly and you could do it in reverse order, starting in Venice, ending in Rome. I’d be happy to answer any more specific questions you have as you go about your planning. Feel free to email me thetrustedtraveller@gmail.com at any time. All the best with your planning. Nicely done—great descriptions and concisely presented. I’m using this as my template for a trip in September. Thanks so much for taking the time to leave a comment Don. I am so glad that you have found this post useful. All the best with your travel planning. can you tell me the total cost of 2 weeks trip for Italy for couple? The cost would vary depending on the level of comfort you’d prefer for accommodation, things you’d like to see and do and what sort of places you’d like to eat at. I’d be happy to discuss this further with you if you’d like to email me thetrustedtraveller@gmail.com and I with a few more details I could help you out with an overall cost. I am looking to take my family of 5 to Italy in March 2016. We will be there for approximately 10-11 days depending on the flights we get. It will be over Easter, so I am not sure if it would be worth the experience to be in Rome/Vatican City then, or to avoid it. Also, we would like to hit Rome, Naples, Florence, and Venice. What is the best way to do this, and is it any better flying into Venice and traveling south or vice versa Rome and head north. I think arriving at either Rome, Venice or Naples and leaving from the opposite will be your best bet and I don’t think it will matter which direction you go (north to south or south to north) unless there is something specific you want to see and do on a specific day. As for being in Rome for Easter, I personally haven’t been there over the Easter break but know people who have and they very much enjoyed the experience of seeing the Pope on his Easter parade through the city. However, if you want to avoid the crowds, then I would avoid Rome for the Easter weekend. So excited to find this itinerary!! Planning a trip for our 30th wedding anniversary. We’ve been to Venice so may just cut that part out. Do you feel this itinerary does allow for some ‘down’ time to relax? Or should I add a day or two? Also, what would be a good amount to budget for lodging and food each day? Not looking for anything fancy. Just clean. Thanks so much!!!! I’m so glad this itinerary is useful to you and congratulations on the big anniversary. I hope you have a wonderful trip. To answer your questions I’d say if you cut out Venice as you said, this would give you more down time in other places. 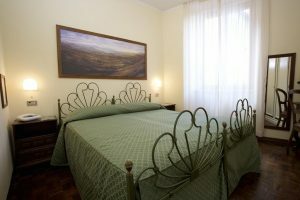 Maybe add an additional night or two in the Cinque Terre region or add a few nights stay outside of Florence in Tuscany. Both are regions you can really relax and get away from the crowds for a bit. As for a budget for accommodation and food, this will depend entirely on your personal preferences and standards. 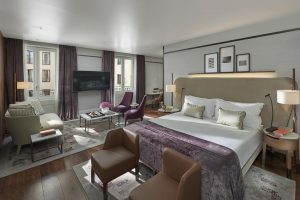 You can check out my Where to Stay page https://thetrustedtraveller.com/where-to-stay/ for the places I suggest and this will be a good starting off point for you. Feel free to email me (thetrustedtraveller@gmail.com) if you want to chat further about this and I can guide you in the right direction for your budget. This is awesome!! Thanks so much for this. I would have done an organised tour (which I really didn’t want to do) if not for this information. I’m going to be doing a three and a half month trip to Europe next year starting in London flying from Sydney on April 9th, and Italy will make up 18 nights of my trip. I’m going to be doing lots of big cities, and was thinking that while I’m in Italy I might try staying in some smaller places. I don’t really want to visit Milan, but I was going to as it seemed convenient to follow your logical route and because I want to go to Lake Como. 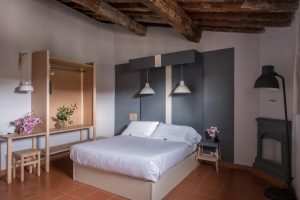 I was given some advice that it might make more sense to actually stay in Lake Como instead of Milan, and I found what looks like a great hostel in Mennagio. What do you think of this? Also I’m considering actually staying at one of the Cinque Terre towns, instead of La Spezia which you suggested. I realise I’d need to catch a train to La Spezia then a small regional one into CT. I found again what looks to be a good hostel in Manarola. Should I take a night off Florence or Rome to stay the night in Assisi or is it possible to stop on the way through? This is my intended route for Italy starting from mid May 2016, flying in from Nice, and flying from Rome to Athens to continue my trip. The number is the nights I will stay in one place for and brackets is transport to the next place. What an adventure you are going to have next year. It all sounds really great. If you want to get out of the big cities and spend some more time in the smaller towns then I would definitely agree with the advise that you have been given in regard to staying in Lake Como rather than Milan and staying in Manarola rather than La Spezia. 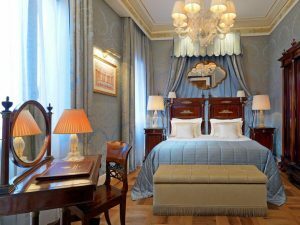 Milan, while a nice city, is really just another big Italian city and if your only reason to go there is to visit Lake Como then definitely go with the Lake Como option instead. Your itinerary sounds good and you are definitely going to be seeing lots of the country, making the most of your time with day trips. For Assisi, I would recommend trying to fit that in on the way through rather than loosing a night in Rome or FLorence. It is a really nice little town but you can quite easily see its highlights in a few hours. Good luck with putting together the rest of your trip and please do not hesitate to email me (thetrustedtraveller@gmail.com) at any time if you have any more questions or just want to bonce ideas off me. Thanks heaps Jen!! I’m so excited, this will be my first trip solo, and first time to Europe. and this plan is the result of 2 months of research (I mean for my whole trip). I think I’ve nearly got my whole trip route planned now, and I can focus on choosing places to stay, putting together ideas for what I want to do when I’m in each place (I don’t want to waste time doing this when I’m away so I plan on having a big numbered list to choose from which will be flexible to take on board advise from other travelers and locals when I am there) and I’m waiting on the release dates for tours next year. Have you had any experience with Italy on a Budget? All the reviews on Tripadvisor look great. Do you think starting in Venice in mid May would be a good time to go? I might take you up on that offer and email you my whole itinerary, but I understand you would be really busy. Thanks you for posting this blog myself and my partner are going to follow it to a t, the only difference is we want to spend two night in Amalfi Coast but not sure what part we don’t won’t to go too far south could you recommend somewhere please. Glad the itinerary is useful for you. You have two options for the Amalfi Coast. Stay in the town of Sorrento and then take a day trip along the Amalfi Coast either by boat (my preference) or by bus. You can easily see the coast and stop in the towns of Amalfi and Positano on a day trip. Or you can stay on the coast itself in either Amalfi or Positano. This option would be a little more expensive but give you the freedom to explore a little more. Feel free to email me if you’d like to discuss more. I m in love with the way you have written out the itinerary.. m travelling with my family including my 6 yr old to Italy for 12 days in August. Currently we have 4 nights in rome, 2 nights in la spezia to visit cinque terre, 4 nights in florence and 2 nights in venice. thereafter we continue for a week to switzerland. I have a few questions, what is the best way to see rome, i wanted to plan some day trips, but the guided tours seem too expensive. Is there another option? Also we want to visit Naples/ Amalfi coast what would be the best way to do this? Lastly i know buying point to point train tickets would be cheaper in italy, but since we are going to switzerland after, would having a eurorail global pass make sense? Thank you for your kind words about my itinerary. I am so glad that you have made the choice to travel to Italy and Switzerland as they are both really beautiful countries with lots to see and do. You itinerary sounds great so far. If you have the time, you can add an additional 2 nights to your trip to explore the Amalfi Coast and Naples area. You can take a train from Rome to Naples, change to a local service which will take you to Sorrento, a nice place to base yourself for exploring the region. From Sorrento you can do boat trips along the coast stopping in the towns of Amalfi and Positano. You can also make a stop on the train to/from Sorrento to explore Pompeii for an hour or two. For your tickets, it will depend entirely on how many segments (travel days) you will be doing in total. If you use the link under tickets in this post you can compare the cost of a pass that will cover all your segments with the cost of purchasing point to point tickets. Don’t forget to factor in seat reservations for both options if you want a reserved seat. I hope this has been of assistance and please feel free to email me (thetrustedtraveller@gmail.com) should you have any follow up questions or want to run anything by me. I am always happy to hear from fellow travels. Just wanted to drop a quick note and say bravo on this piece. It has helped my husband and I immensely and although we are taking a slightly different route by train, your recommendations and tips are very beneficial. Thank-you and keep up the great work. I’ll be sure to visit your site next time we travel for great advise and tips! Thank you so much for taking the time to write this note Hilary. It means a lot to me to be able to help people plan their travels and I am so glad this info was helpful to you and your husband. Please don’t hesitate to contact me again in the future should you need any further tips or advice. Hi Jen, do you think this itinerary will work for when I go in December? This itinerary can absolutely be done at any time of year. Italy is a great country to visit all year round. All the best with your trip! Do you know how much the trip would roughly cost for 2 teenagers aged 18 planning to go this December? I am in the first stages of planning a trip to Paris (7-10 days) and then training through Italy. I am so pleased I came across your site. Great information to help my planning. A few questions. If we took existing suitcases would these prove too much of a hassle on trains? A backpack wouldn’t be enough room as we will be going out for dinner where husband will need to wear a suit etc. Also, I have this vision of sitting outside in a small village having a wonderful local meal and enjoying a wine looking out at the Mediterranean and relaxing. Would you suggest Cinque Terre or Amalfi coast as the best place to be able to do this. Rome is for rushing to see all the sights and I want to balance the big cities with down time in smaller places to soak up atmosphere. I wasn’t looking at Milan but Lake Como looks stunning. I would love to see some alps so would you suggest travelling through Switzerland on the way from Paris to Venice or spending time in Lake Como with its view of the alps. If Switzerland, where would you suggest to visit for 1 or 2 nights. Thank you for the great information you give out. This is going to be my go to site now. Thank you for the kind words Lorraine. It is very nice for me to hear that this information is useful to others when planning their trips. Below are the answers to your questions. Feel free to email me (thetrustedtraveller@gmail.com) if you have anything to follow up or want to run more ideas by me. I’m always happy to help. If you limit yourself to one suitcase each and one small carry-on type backpack or handbag, you should be fine getting on and off the trains. Try not to overload the suitcases to much so they aren’t too heavy and so that you have room to bring home anything you might like to purchase along the way. If I had to choose between the Cinque Terre and Amalfi Coast I would choose Amalfi every time. I was blown away by it’s beauty more so than Cinque Terre. However if you like hiking then Cinque Terre might be more suitable for you as you can do the walk between the towns. Both you can do exactly what you are visualising. Lake Como is indeed beautiful and does give you the chance to see the Alps. It is easy to get around the lake on a hop-on hop-off boat and the little towns are really beautiful and nice to explore on foot. Hope this has helped and please don’t hesitate to let me know if I can help you in any other way with your trip. Thank you so much for your ideas. Annecy looks postcard perfect. That’s the trouble with Europe – so many beautiful places and so little time (and money) I will be reading all of your Europe guides to gain more for information. Working out the most cost effective versus must see way to train from Paris to Rome will take some time but I do enjoy the research. Im sure I will have more questions later but thank you for the help you have already given esp regarding the baggage and also Amalfi v Cinque Terre. I will definitely be adding in somewhere near alps – just not sure yet if French, Italian or Swiss. I’m going Italy for two weeks next year July by myself, this itinerary helped a lot, but I’m slightly worried about the budget for the whole trip. Hi Jettson, Glad this itinerary has helped. Your budget will depend entirely on what type of accommodation you stay in, where you choose to eat and how many paying attractions you want to visit. Feel free to email me thetrustedtraveller@gmail.com will more info on these things and I’ll be able to help you out with a budget. Hi! i’m planning a trip to Switzerland and and Italy for this winter. I’ll be spending 2 nights in Zurich, 2 nights in Lucerne, and a night in Zermatt for the Switzerland leg. For the Italian leg i’ll be spending a night in Venice and 3 nights each in Milan, Florence, and Rome. Do you have any suggestions of what i should do in the winter? Thanks for your comment. Your trip sounds so exciting. Europe in the winter is supposed to be beautiful. For Italy, much of what you can do in Summer, you can do in Winter. Here is a link to everything we have done in Italy (https://thetrustedtraveller.com/tag/italy/). For northern Italy and Switzerland, winter sports like skiing, snowboard, sledging etc are all very popular and easy to arrange when you are there. If you are there around Christmas time, Europe’s Christmas markets are amazing so see if you can visit one of them maybe in Zurich or Lucerne. From Lucerne I highly recommend taking the cog train and gondola to Mt Pilatus (http://www.pilatus.ch/en/). Hope this helps and that you have a great trip. If you have any specific questions please feel free to email us (thetrustedtraveller@gmail.com). This is great! I’m planning on going to Italy for my next big trip. Just out of curiosity, what was your budget approximately for this? Thanks Gillian. I have just added you. Would love to hear some advice! Thanks! It would definitely be cheaper to travel independently than with a group. While I do like group tours from time to time, travelling independently gives you far more freedom. As for how many night to say in say place, this would depend on what you wanted to see and do in each place. A few rough numbers i’d suggest would be 3 nights each in Venice and Florence, 2 in Cinque Terre and 4 in Rome. Of course if you are wanting to see more than just the famous sites, i’d allow a bit more time. Hope you have a great time in Italy and feel free to email use with any follow up questions. I was looking at doing a family (w 3 kids 16,20,22) trip to Italy in June over 14/15 days. Becoming too overwhelming and expensive. Thinking of hitting Venice, Florence, AmafiCoast, Latina(family 2 to 3 nts), Rome but Cinqua Terre sounds pretty cool. Do you have the perfect itinerary? Considering arr/dep Milan since a lot cheaper. Thanks John. The itinerary in this post would be my perfect itinerary for Italy. If your going to add Latina I would suggest dropping something off my itinerary as it will be pretty full on. Maybe the Amalfi Coast or Cinque Terre because they are quite similar. Arriving into Milan would be easy to just take the train straight over to Venice in a few hours. Hope this helps and don’t hesitate to email us with any follow up questions. I have enjoyed your blog and appreciate yours and others comments. Can you advice on this itinerary liosted below? Is train travel best? from Rome Train Station to the Airport for 2pm flight out. What is best way to get from Rome Termini to the Airport? We have 2 weeks but first week is dedicated to family reunion in Campbobasso and transportation is provided. I am a single father going with my 4 children age 24 to 17. Aug 14 sleep on train from Venice to Rome??????? Aug 15 Depart Leonardo di Vincvi Rome Airport at 2pm. Thanks so much and I am so glad you have found this info useful. Travelling by train overnight is a great way to save money on accommodation. So if that is something you are comfortable with then I’d say go for it. From Rome Termini you can take the Leonardo Express train from platform 24. Departures are every 30 minutes. The train is the easiest and quickest way to get around and will work perfectly for your itinerary. Your itinerary looks good. Only suggestion I would make is visiting Cinque Terre only, not Pisa. With only two days you will need the time in Cinque and Pisa really is just a tower. Thanks so much! If you like to walk and the outdoors I would definitely leave in Cinque Terre and Amalfi Coast. I would suggest cutting Florence as it is mostly about churches and art galleries, although it is still a pretty and interesting city. Hope this helps and if you ever need anything else, please don’t hesitate to email me jen@thetrustedtraveller.com. My family is planning to visit Italy for the 1st time in June for 2 weeks and would love some guidance. We will be traveling with our 4 and 8 year old boys. We are thinking of starting in Rome and heading towards Venice. Is this a good idea? What would be your suggestions of places to see on our way to Venice? Should we go a different direction? Would love to squeeze an a beach day in the middle to make the boys happy 🙂 I also would like to go to Ampli but probably to far the other direction right? Do you suggest us traveling by train? Also would you suggest using a tour guide in any of the cities we visit? Thanks for you message. I would suggest doing exactly as the itinerary above suggests except skipping Assisi for Amalfi coast. The kids can have a beach day in either Amalfi or Cinque Terre too. Also train would definitely be the easiest way to get around, just make sure you don’t bring too much luggage as you will have to carry it all with you. IN the cities, keep an eye out for free walking tours. They are a great intro to each city and the guides are always very good because they work for tips only. We are starting in Rome- When should be our stop to Amalfi coast? Should that be a couple days trip? I’d suggest spending your time in Rome and then moving onto Amalfi coast from there and then making your way north again. You’ll need at least 2 nights there. 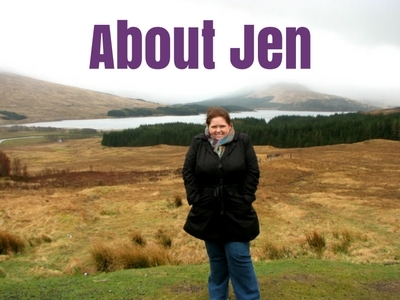 Hi Jen, I really love your site. I’m planning on going to Italy with my 2 friends early september time for about 2 weeks of travel. We have just started looking into it and are just starting to figure out the places we want to go to. Do you think Venice, Verona (max 1/2 day), Milan, Florence (into Cinque Terre for a day or so), Rome and then into Naples to see Pompeii, Sorrento and Capri is doable? I realise our time is quite limited and we do have a lot on our list, or would you recommend taking some places out and spending more time in others, if so which would you suggest? Any help would be much appreciated! Sorrento – 2 nights – visit Pompeii on the way there and day trip Capri and Amalfi coast. So a total 14 nights. I suggest skipping Milan unless something there really interests you, we found it to be the least interesting place we visited in Italy. There also isn’t a lot to see in Naples itself so I’ve suggested to base yourself in Sorrento instead. 1) Do train tickets need to be purchased in advanced? For an exact time? 2) When getting off the train, are there taxis to get us to the hotel OR prearrange transfer? Thanks for any help, I am sure I will be continuing to ask questions. 1) No you are not required to make reservations in advance. Although it would be recommended depending on the time of year you are travelling. If it is peak season over summer you may find yourself having to wait a few hours at the train station for an available seat. Outside of this you would be ok to make reservation at the station on the day. 2) The train stations in Europe are usually right in the heart of the city centre so you can either walk (if your accommodation is close enough), take public transport like subway, bus or tram or you can take a taxi which are readily available at all train stations. Hi Jen! This is great information! very helpful! We are planning a trip to Italy We are flying into and leaving from Rome, so there will be some back tracking involved (16 nights total that includes the last night we have to be back in rome). We are travelling with our 5 and 8 year olds. We were thinking of 5 nights in rome, 2-3 in Florence, 2 in Cinque Terre, 2-3 in venice, 2 in Sorrento. We are wondering weather to go to Sorrento first from Rome, then make our way back to Rome or Florence and up north or the other way round. Since we have to leave on July 4rth morning 10:30AM flight, we either have to spend our last night in Rome, or consider an itinerary in which we take an overnight train back to Rome. Any suggestions? Total 16 nights, including the last night back in Rome. Also we really wanted to go to Lake Como but it looks like we have to pick between amalfi and Como. Thanks! Hi MD, Thanks and glad you found the post helpful. Firstly, you’re itinerary sounds pretty good and I wouldn’t change it really. I’d suggest visiting Rome first then heading to Sorrento then Florence as you will probably be a little tired and jetlagged when you arrive. If you had to rush off to Sorrento straight way you probably wouldn’t enjoy it as much. Also Lake Como as well would be a stretch and from our experience, the Amalfi Coast and Cinque Terre are more enjoyable. Hope this helps and feel free to email us any time with followup questions (jen@thetrustedtraveller.com). Jen thanks so much for your reply. We have 7 nights which we have to split between Florence, CT and sorrento. Any suggestions? I was thinking 2 in CT, 3 in Florence and 2 in sorrento, but I am confused between sorrento and Florence depending on things to do. Thanks again! No worries. I think those numbers are good if you only have 7 days. You can walk (or take the train) the Cinque Terre easily in one day so two nights is perfect. In Florence, 3 nights will give you time to take a day trip to Tuscany while also checking out the best of the city itself. And 2 nights in Sorrento can be spent exploring the Amalfi Coast on a day trip or visiting Capri. This is still going to be tight though so if you can manage another few nights it would make it more comfortable, but certainly do-able with what you already have. Hope this has helped. This is just awesome. We are planning to spend two and 1/2 weeks in Italy. With this itinerary I now know where to start. Is Tuscany doable with this itinerary or Pisa or Pompei? I have no idea how far away things are. We are planning our trip to Italy using your suggested Itinerary exactly how you presented it on your web site. However, we would like to do one side trip to the Alps on the Bernina Express at the end of our trip from Venice. Is there any easy way to get to Tiriano WITHOUT going back to Milan? It seems like SO much time on a train. We will be spending an overnight in CHUR and then coming back to Milan for our flight home. There is a train for Tiriano to Milan but I can’t find one from Venice to Tiriano. Thanks for your message and I am so glad you have found our itinerary useful. Unfortunately I don’t have good news for you. There is no direct train from Venice to Tirano. You will have to travel via Milan. If you have any more questions about your trip, don’t hesitate to email us at jen@thetrustedtraveller.com. Your website is amazing and so helpful. I’m literally writing you sitting in La Spezia per your recommendation of Cinque Terre, waiting for the rain to clear up. I’ll be using your website for most, to all of our future travel plans! I wanted to reach out to you and let you know that the Fiat 500 Touring Club tour we took in Florence was absolutely out of this world awesome. If you are ever back in Florence I’d recommend that you do it and any travelers looking on this website should do the same! Also in your comment sections you may want to consider having the most recent comments show at the top rather than the bottom (I’m on an IPad, so I’m not sure if it is my device, but I’d like the most recent stuff at the top). Thanks so much for your lovely comments and feedback Zac. I am so glad you are enjoying your trip and that we were able to help you with it. I hear it has been raining quite a bit lately in CT, so fingers crossed you will get some sunshine before you move on. I will absolutley check out that tour next time we are in Italy! And I will look into the comments order issue. Thanks for making me aware! Great website. We didn’t know where to start but when we came across this website it all made sense. This would be our (DH with 6yrs old and 8yrs old kids) first ever visit to Italy and we are very excited. We were wandering if you could help us with some questions below. We have booked the flights – flying into Milan (29 Jun) and flying out of Rome (13 July) for a total of 14 nights. Would this itinerary work for the flights above. We love travelling by train and like all your suggestions and recommendation. We are not too big on architecture and museums but love sightseeing and being out and about. So we are planning exactly as you suggested but in reverse due to flights – 3 days in Milan, 3 days in Venice, 2 days in CT, 3 days in Florence and 3 days in Rome in that order. Is this doable? Would the trains work in that sequence. The trip from Venice to CT being the one that I am not too sure about. We are open to rearranging the itinerary that suits the trains and logistics accordingly. We were hoping to spend more time around Lake Como rather than Milan itself. You have given some wonderful ideas for Venice so we wont change anything there. But kids wanted to see the leaning tower in Pisa which seems to be on the way from La Spezia to Florence. Would you advise a quick stopover to Pisa (drop the luggage at train station) on the way back to Florence or should we head straight to Florence and then do the day tours from there. May be day tours of Tuscany including Sienna, San Giminagno and wineyards. Would 3 days be enough in Florence with this? We were also thinking of skipping Assisi altogether and heading straight to Rome from Florence so its not too hectic. Not sure if that is the right decision as Assisi seems like a nice place but we are just being mindful that we would be not as energetic towards the end of the trip. Sorry if these are too many questions but I am just encouraged by your kind and lovely nature well reflected in your replies to similar question above. Thanks so much and we are so glad this was useful for you. You itinerary sounds perfect and will work in that order for the trains and it is also perfect for optimising your time. Stopping in Pisa on the from La Spezia to Florence is easy as there is lockers at the station. There are multiple stations at Pisa. You want to get off at Pisa S.Rossore as this is the closest to the tower itself. A day trip into Tuscany would compliment 3 days in Florence perfectly. And yes three days would be plenty of time. I think skipping Assisi is fine and will definitely help slow the pace of the trip down and give you more time in lovely Rome. If you need anything further, don’t hesitate to email me (Jen@thetrustedtraveller.com) and I’d be happy to help. We have now finalized the itinerary and looking forward to the trip. No worries Nav. Glad to have helped. And we’d love to hear from you after your trip too to tell us all about it! My family is planning a European vacation, mainly in Italy, but with other destinations such as Croatia and Switzerland. We had originally thought of renting a car, but the train sounds attractive to make the best of our time. We will have about 4 weeks. I’m wondering, do you know if there is a boat/ferry service from somewhere in Italy to Croatia, or is a flight or train more suitable? (just to save time). We also have to think of cost, given the length of time we are away and # of people we are buying tickets for. Is there a site that I can visit to find out about these low cost flights? Also, if we were to to go Europe in April or May, would we be limited as to attractions that are open? We can do later in summer but we’d rather go at a time where there are fewer tourists if possible, but don’t want to find that we’re unable to get in to see things we want. Your trip sounds great. We’d love to visit Croatia ourselves someday. For flights we use and recommend Skyscanner to compare prices. Flying may be quicker to get from Italy to Croatia. April/May is an excellent time to visit Europe. Everything will be open as usual and you won’t have crowds like you do in summer. The weather should be good also but the night may still be a little cool in some places further north like Switzerland. I hope this helps guide you in the right direction to get started on your planning. And don’t hesitate to reach out should you have any more questions. I am planning a trip to italy myself and this helped cut down some time! I am planning way ahead and using 1 day to travel — even by train. & doing 2 full days in each location — is that too much? by doing this my trip is 4-5 days longer because of travel. Thanks Amrit. Glad you found this useful. I’d say that you don’t need a full day to travel. For example, the train journey from Rome to Florence is only just over an hour. So you could leave Rome at 8am and be in Florence just after 9am with the full day ahead of you. This will give you more time in each place. Hello! I’ll be travelling to Italy this November 2-12. I have 10 full days. This is my first solo trip so I am excited and terrified at the same time. I was planning to go Rome, Florence, Tuscany, Venice. But friends have been telling me that November is not a good time to visit Venice (extremely cold, knee high floods). Do you recommend anywhere else? I’m from Manila so I fear for the cold weather. haha Should I consider Naples and Cinque Terre? You must be so excited! Italy is amazing and I am sure you will love it. And go on you for going solo too! November is when the weather starts to get cooling in Europe. The further south you are the less effected you will be. So with that in mind, I suggest the Amalfi Coast. It is not too far from Rome and the weather will be better than what it would be in Venice. Although just to warn you, it still won’t be warm. The Amalfi Coast is beautiful and there is lots to do there like cruising the coast, exploring to little towns and checking out the Isle of Capri and grotto. I suggest basing youself in Sorrento and taking day trips from there. I hope this help and don’t hesitate to reach out if you have any other questions.Hope you have an amazing time! Thanks for the itinerary we are about to head to Italy. Our plan is to go from Venice to Rome and we will probably skip Milan and go to Bologna instead. Have you been to Bologna? Any suggestions? That sounds like a good plan. We haven’t been to Bologna sorry but would love to visit it someday. Have a great time in Italy, I am sure you guys will love it! Thanks Tenny! I am so glad you found this useful and I hope that you have the most amazing honeymoon. Jen, how is renting a car? I am flying into Milan and I want to travel to both Rome and Venice. Would it be more feasible to rent a car? I definitely think taking the train is much cheaper and more convenient. Firstly, you can’t drive a car in Venice as there are no roads so you’d be paying for parking the entire time you were there. Secondly, in Milan and Rome you’d also be paying a premium for parking and would be better utilising the excellent public transport systems both cities offer. Finally, you’d need to factor in petrol costs and traffic in Milan and Rome. If you don’t plan to visit rural areas where the train doesn’t go, I always recommend taking the train. Definitely recommend the train…..much more relaxing, and when you get to cities like Rome you don’t want to be driving! We are planning a trip to Italy next October or November. We will have 14 or 15 nights in Italy. We will be flying into Rome and out of Venice. We want to see Rome, Tuscany, Florence, Cinque Terre and Venice. We would like to spend a few nights in Montepulciano. What would be your recommendation for getting around in Tuscany? Should we rent a car for this portion of our trip? If we rent a car, where would be a good place to pick up and drop off? I have heard they advise against driving in Florence. And in what order would you do this? Tuscany, Florence and then Cinque Terre and then to Venice? Your trip sounds exciting! For your car in Tuscany, you could pick up in Sienna which is easily reached by train from Florence or Rome. Otherwise there are some great day trips from Florence that will allow you to see the highlights of Tuscany too. Also the order you have mentioned is perfect and makes sense. It is exactly what I would do. Hi Jen! If we have about 7 days could we do Venice, Cinque Terre, Florence and Rome?? That will be very tight. Rome itself needs at least 3 days. I would suggest removing one of the places or adding an extra 2-3 days to your trip if possible. Hi Jen, Thanks for the lovely article and insight; question 1. If you were to skip one/two destinations from the list and add the Amalfi coast in here and still fit them in a 15 day itinerary what would be your recommendations please? Thanks Parya. If I had to pick two places to remove in place of the Amalfi coast it would be Assisi and Milan. Both I loved but the Amalfi Coast is really something special. Hope this helps. Hi Jen, what a fabulous article! You have truly given me some real inspiration, thank you!! The only question I have, is if I were to miss out Rome (as I’ve been there a number of times, I have a family member who lives there) where would you suggest I spend the additional few days? Thanks again for all your help. Thanks Hayley. Appreciate your lovely comment. I would highly recommend the Amalfi Coast/Sorrento area if you haven’t already been there. It is one of the most stunning parts of the country and if you love beaches and the relaxed Mediterranean lifestyle then you will love it. Alternatively, if your more of a countryside person, a few days exploring Tuscany would be a great option too. Hope this helps and hope you have an amazing time in Italy! Hi Jen! This article definitely sparked an interest in us! My wife and I will be doing 2 weeks in Italy in mid-April. We will be arriving in Naples and departing out of Venice 15 days later. I love your article, but figured we would like to streamline/tweak things a bit. We really want to do Naples, Rome (spent 3 days there a couple years ago and want to explore so much more of it), Bomarzo – The park of Monsters, Florence, Parma (1 day I’m guessing is enough), and Venice. Any advice you have for us as far as itinerary and such would be AWESOME! Hi John. I am so glad you found the itinerary useful! On paper, your itinerary looks good to me however I haven’t personally visited some of those places so I can’t comment on how much time you will need in each place. If you have any specific questions about Rome, Florence, Venice or getting around Italy in general, I’d be happy to help where I can. Hi, I am just in the beginning process of planning out trip to Italy this summer. We will be traveling with a check-in sized bag. How will that work out when traveling from city to city via train? Are there overhead storages available? Do they have to get checked into a certain area on the train? Would it be safe? Are there extra charges to have luggage on board? Any feedback would be appreciated. There are no porters or checked luggage on trains in Europe so whichever luggage you take, you have to be prepared to carry it around yourself. So when you pack, make sure you think about this. On the train there are overhead racks for smaller bags (will fit 60L pack or smaller) and luggage areas at end of each carriage where you can store larger suitcases. If you are taking a larger bag, I recommend taking a padlock and chain to secure your bag as the racks are not monitored. I’ve never had an issue but I have heard of others having their bags tampered with or stolen. If you are really worried my best advice is to take a smaller bag that you can store overhead. I just came across your article while searching for a “Budgeted” Italy itinerary and i appreciate all the information you have shared. I am planning for a solo Italy trip in October 2017 for 10 days from India. My main reason to go there is to visit the St Peter’s Basilica, Sistine Chapel and the Shrine of Padre Pio of Pietrelcina located in the town of San Giovanni Rotondo (SGR). I’d be happy to help. Please email me jen@thetrustedtraveller.com with what you have so far and I can help you from there. my husband and I are planning our first trip to Italy next year. Is there any problem with doing this itinerary in reverse? Absolutely not. This is just a guide so feel free to change it around however it works best for you. Is there a website or a way you recommend to save money buying a lot of train tickets around Italy? I am flying into Rome and out of Milan. I am interested in also seeing Naples, Pompeii, Florence, Tuscany, Cinque Terre, and Venice. I only have two weeks, though. Is this enough time to do all of those via train? I couldn’t find a way to buy a cheap rail pass covering unlimited 2 weeks of travel. Is there a way to do that? A rail pass will likely be the cheapest way to go for this journey. Depending on which country you are from will depend on what is available and at what price. If you use the links provided in the post above that are specific to your country or region, you will be able to find out more information. Or feel free to email me and can provide you with more info. My boyfriend and I are planning a trip to Italy in September and I don’t know where to begin with my planning. It can be a little bit overwhelming planning a trip to a place you’ve never been. We are staying for 13 full days( 15 total but considering those travel days) flying into Rome and leaving from Venice. In between we’d love to see Florence , Milan, Cinque Terre, Amalfi Coast, and Tuscany . Are we in over our heads? Any suggestions you could provide would be greatly appreciated. I can totally understand how it can feel overwhelming planning a big trip like this. I too feel like this with new places and that is why I wrote this post and all the others on this blog, to help people cut through the overwhelm. The itinerary I have outlined above would definitely work for you with a few adjustments. Change Asissi for Amalfi Coast and take a day off Rome and you should be able to fit it all in. It will be pretty hectic but if you only have 13 days then this will allow you to see the highlights of each place. If you wanted to travel at a slower pace, I would suggest just selecting 3-4 places from the list and spending more time there. Hope this helps and please don’t hesitate to email me if you have any follow up questions. 15 days and 13 nights total in Italy, flying into Rome and out of Venice. So far we are thinking 3 nights Rome, 3 nights in Florence (with a day trip to Tuscany) , 2 nights in Cinque Terre, 2 nights in Milan – with the possibility of a day trip to Lake Como and we are also thinking to spend a few hours at QC Termemilano ( the spa ) then ending it off with 3 nights in Venice. Any suggestions you have would be appreciated or if you feel it could be mapped out any better please feel free to let me know ! I think this sounds like a well balanced plan with enough time to see the highlights in each place. Except for maybe Milan if you want to do the day trip as well. Although if your main motivation for visiting Milan is to day trip to Lake Como and you don’t mind missing out on Milan, then that is fine also. Love all your information above! Not sure if you still look at the comments, I just have a couple questions. Firstly our flight was booked going into Milan and returning from Rome. 14 days total. From Milan do you suggest CT first and then onto Florence or Venice first? We were originally thinking of Florence and renting an apartment for 8 days and then doing a series of shorter trips to CT and Venice. Secondly my wife and I have traveled to Italy before. This trip is more for our teenage kids. It seems their patience may run low after a few of the gallerias and cathedrals. Anywhere you suggest they can blow off some steam? From Milan I would suggest visiting Venice fist then CT and then Florence. Basing yourself in Florence may be a good idea although you would be spending a lot of extra time travelling to and from places. City bike tours are great for teenage kids. They get to be active, tire themselves out and the parents get to see the sites. I one day bike tour in Tuscany from Florence may also be a great thing the kids will love. In CT the walk between the towns is good for all ages and I guarantee the kids will be exhausted at the end. Hope this helps and if you have any other questions, I’d be happy to help where I can. My brother (27) and myself (31) are planning our maiden trip to Italy around July for 2 weeks. We will be travelling from Kolkata (India) and my top priority is to taste all the Classical Italian food as it is my passion and profession for life. You have definitely chosen the perfect country to explore if you love food. I would recommend my itinerary about for a first-time visitor to the country. You will be able to taste all that great food and see most of the major sites as well. If you have any more questions, don’t hesitate to ask. Hello would you recommend also going to the south of Italy within a two week tour? Like the Amalfi Coast (Positano)? You would be very tight with time if you tried to fit in another stop. I would suggest if the Amalfi Coast is somewhere you would really like to go, that you either add an extra 2-3 days to your trip or take out something else from the itinerary and replace it with the Amalfi coast. We are doing 9 nights in Italy with 3 nights in Venice, Florence and Verona. We are looking to a day trip out of each of the three places, thinking Lake Garda, Wine Trip in Tuscany and then not sure where from Venice? Do you have any ideas and also how is best to book these? For Venice I would spend the 3 days hopping between the islands like Murano and Burano near Venice. They are all easy to access on public transport from Venice at stops along the Grand Canal. For booking the other two day trips, I would suggest checking out Viator.com. They have a big range of day tours available and I have never had a problem booking with them. Thanks for the detailed itinerary Jen. I shall surely plan my itinerary based on the pointers mentioned by you. This is a great site. Thank you making it easier for us to plan our trip to italy for the first time with your receommended itinerary and other info. 1. If we skip Milan is there a train from La Spezia to Venice or it is better to train back to Florence, stay another night there, and then train to Venice from there? 2. We are trying avoid peak summer time. Is April or May a good time to go there? Thanks Bill appreciate the comments. 1. Via Florence would be the long way. You can travel to Venice with one train change in Milan (6 hours travel time) or with two changes via Parma and Bologna (5 hours travel time). I recommend bahn.de website for timetable info. 2. Shoulder season (March/April/May and Sept/Oct/Nov) are my recommended times to visit. The weather is still relatively good and mild and there are less crowds about. Thank you Jen for the wonderful itinerary. This is a perfect plan for a two week trip to Italy. Thank you for providing every single detail in the plan. Very helpful. Thanks Madh. Glad I could help. Thank you for this fabulous post! The husband & I would like to go to Italy for our honeymoon in December this year, and we were looking at tour packages but nothing has really caught our fancy yet. I suggested touring ourselves and this itinerary is really a great place for us to begin! So glad you found it helpful and congrats on your upcoming nuptials! Florence is a great place to base yourself for day trips. You can visit Tuscan countryside and towns, Pisa, Lucca and many more places quite easily either by organised day tour or on your own using the train system. Language will not be a problem as most signs in also in English. I recommend learning a few simple phrases in Italian to help you get by, however it isn’t necessary. The first time I visited Italy I didn’t speak the language and got by just fine. Hi Jen can you give me some advice for 10 night itinerary – may skip Rome – want to focus on Venice, Florence, Cinque Terre and maybe Lake Como/Milan – is this doable in 10 nights/11 days?? Once you take Rome and Assisi out of this itinerary ti works perfectly for 10 days! I was looking for exactly this kind of detailed travel plan which not only covers the stops but the local attractions as well. Thanks for putting it all in one place. My wife , I and our young daughter will be in Italy for 14 nights and 15 Days. We like historical sites . 1. I would like to visit a few more places Like Pisa (which I can cover on the way to CT from Florence) ,Siena and Orvieto. Please help me to add this places in my itinerary. 2. To save time , I planning to start from Rome in early morning and reach Assisi around 10 AM and leave for Florence in the evening. Would that be very hectic ? Thanks for the compliment. I am glad you found this useful. I would be cautious about loading too much into the trip as you will b exhausted and spend very little quality time in each place. You could definitely do a day trip to Siena and Tuscany from Florence. 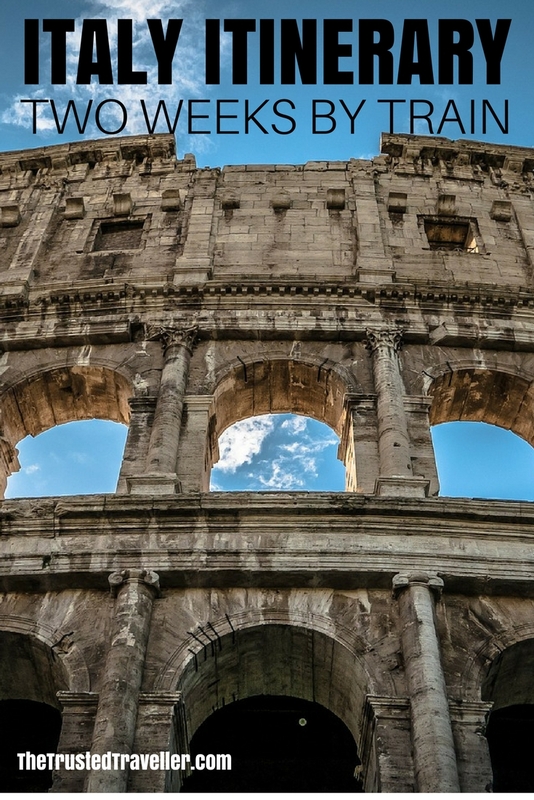 There are lots of historical sites in Rome, were you not planning to spend time there? I just booked tickets to Rome. We will stay 15 nights and 16 days at Italy. Here is our tour plan. Please let me know how it’s looking ? Sounds perfect to me Anirban! I couldn’t have planned it better myself!!! Enjoy your trip. Thank you so much for this itinerary suggestion. I am travelling to Italy in August and will be staying for 16 nights and will have 15 full days to explore this beautiful country. The most common advice I read on internet forums is that don’t try to cram everything in one visit but I have an illness which restricts my travelling and therefore would like to make the most of my visit because there may not be another opportunity to visit Italy again for me. I am quite an inexperienced traveller so any advice will be gratefully received. Do you think this itinerary is doable, or would you cut some places out? You itinerary looks great! Yes it is a little packed full but if this is your one and only opportunity to visit Italy then I say make the most of it. Only thing I might change would be more time in Amalfi Coast. You could take a night from Florence or Rome. The Amalfi Coast is beautiful and there is much to see there. It would be a nice relaxing way to end your trip. I hope you have a lovely trip and do wish that you return to good health one day soon. Thanks Jen. I really like your posted trip. I am considering following this exact itinerary (with an added day trip to Pompeii) this June with my wife and two teens. But I have one major question about travelling by train. We will have 4 standard 22inch rollerboard suitcases. What do we do with them in Assisi, Florence, Cinque Terre, and Venice when we arrive before check in times at our VRBOs? I don’t want to be dragging those down the streets all day before we can check in! Most train stations have luggage storage for a fee. These is also a baggage transfer service in Italy. Google Bagaglio Facile. Basically your bags are delivered door to door so you don’t need to worry about lugging them around. Hope this helps and that you have a great trip! Im planning to visit Italy in March. Would it be a suitable time to visit Italy. My plan is to stay for 15 days kindly guide me on the best 15days visit plan. March would be a nice time to visit and the itinerary I have outlined below is what I suggest. It is perfect for 15 days! This is a wonderful itinerary. I wish we could do it all. However we can only stay 10 days. Do you have a suggestion on what to change? Of course, I suggest removing Assisi and Milan. All of the other places are so rich with history and full of stunning things to see and do. While I loved Assisi and Milan, with 10 days this is what I suggest. I am looking forward to visiting Italy this summer (late June-July) with my husband and adult son. Initially we wanted to revisit Paris for 3 days, but it seems like there’s so much to see and do in Italy that perhaps we should spend the entire 15 days there. I would appreciate your help with my itinerary. We would love to spend 3 days in Rome, 1 in Milan, and 2 days in Venice and Florence. I can’t decide between Amafi Coast or Cinque Terre. We are foodies and also on a tight budget. Help! Sounds like a great trip you have planned. Personally I would spend your time in Italy,as you mentioned you have visited Paris before. There is a lot of amazing things to see in Italy that you can easily fill your time. If I had to choose between Amalfi Coast and Cinque Terre, I would choose Amalfi. It is honestly one of the most stunning parts of the world I have visited. That’s not to say that Cinque Terre isn’t also fantastic, but if I had to pick one, then Amalfi would be it. Schedules are different on different days and at different times of the year. I’d suggest just getting a train as close to the morning as you can. Hi Jen. I’m so glad I read this first as I’m just starting my research. My family of 6 (including 2 kids and 2 grandparents) will be in Italy from 8-21 June. We will be landing in Milan and departing from Milan as well. Booked the tickets last year as there was an airline promotion so unfortunately we won’t be able to land in Rome first. We definitely want to cover Rome, Pisa, Venice and Florence and Lake Como. Can you recommend an itinerary route that will work best for us? Many thanks!! No worries at all if you can’t start and finish in Rome. You can do exactly the same itinerary I mention above just start and finish in Milan instead. It work just the same. I’m in my 60’s and visiting Italy is my all time bucket list item. Planning our first trip ever to Europe and it sounds so daunting. Your itinerary sounds perfect! 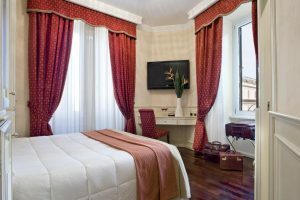 Only one question – what is typical check-in time for hotels in Italy? When we arrive at any of these destinations do we have to drag our luggage around for a good portion of the day before check-in time? Doesn’t sound like fun. Check in time is typically around 3pm. Sometimes you can get into the room earlier. However, if you can’t, all hotels have a luggage room where you can store your luggage if you are early. No need to drag your bag around until check-in time. 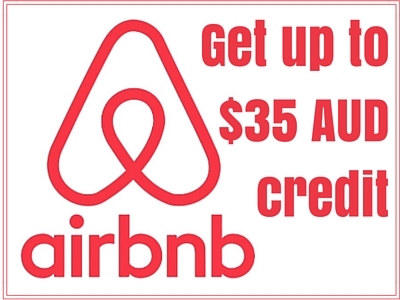 If you are staying in something like Airbnb which doesn’t have a reception, then you will find luggage storage at all major train stations in Europe too. Hope this helps and don’t hesitate to contact me if I can help with anything else. I am so happy to have found your site! It is well-written, thorough and takes the “overwhelm” out of planning our first trip to Italy. We will have two weeks late September/early October. Our plan was to stay in the north — Venice, Lake Como, Cinque Terre, Florence/Tuscany and fly out of Milan. In your opinion, is it a mistake to avoid Rome (we’re averse to huge crowds). Also, what are your thoughts about an overnight side trip to the French Riviera (Monaco, Nice etc.)? Thank you so much for your lovely site and attention to detail! Thank you for the lovely compliments. I am glad you have found this useful. If Rome isn’t your thing, then I say skip it. Travel is about doing what you want to do. It costs a lot of money, so follow what feels right for you. Take what others say as suggestions. For the French Riviera, you would be a very limited on time for an overnight trip. It will take hours to get there and back. Maybe look at Genoa in Italy as an alternative? It is closer to your route, just as lovely as the French Riviera and much quieter. If I can help with anything else, don’t hesitate to ask! Hi Jen, my husband and I will be traveling to Rome in September. We wanted to take a one day train trip to Venice, how long is the train ride? And how much? We would like to return back to Rome before dark if possible. It is a long way to go for a day trip! Train time can range form 3.5 – 4.5 hours depending on the train. If you wanted to arrive back before dark, you’d have maybe 2 hours in Venice which means you would see virtually nothing. Sorry for the brutal honesty, but I wouldn’t want you to do something that wouldn’t be worth it. How long are you in Italy for? Maybe you can factor in some time for an overnight trip to Venice at the very least? Best site ever. We arrive 11 sept 2018 for 23 days. I have done Italy twice so what u say is so true. Last time went to Florence for five days and left after 17. I am leaning towards Foggia and eastern coast for few days but will still start in Florence as have done Rome and find it easy to do all the north with trains. Naples etc of course are fabulous and will finish week in Sicily so hope the east will be good. Thanks Mike! Sounds like you are an Italy expert!!!! Love the idea of spending time in the east and I have been dying to visit Sicily so would be interested to hear what you think when you return. Have a great trip! Thank you for creating such an easy to read site with so many helpful tips! I especially love how you answer the comment section, as many of your answers have helped me out. I am planning a trip to Italy in late July/August and getting a bit overwhelmed. I am focusing more on outdoor, nature/scenery locations and love beaches. I have already been to Rome and have my heart set on the Amalfi coast and Cinque Terre. I am trying to spend the majority of my time near the water and looking for more of a relaxed vacation where I can enjoy each location properly. I am flying into Venice and leaving from Rome. 1. Will travelling between Venice and Cinque Terre take too long? Should I stop somewhere? 2. How do I know if a train is a high speed train? 3. Does this look like a relaxing itinerary or should I take out/add something? 5. Can I take out Florence and instead head from Cinque Terre straight to Amalfi Coast? Thanks for your comment and glad you have enjoyed this itinerary and comments. Your itinerary sounds fantastic. Plenty of time to relax and see it all. I love that you are spending more time in most places. 1. Will travelling between Venice and Cinque Terre take too long? Should I stop somewhere? The train will take about 5 hours with one change. I don’t think an overnight stop in between is needed here. 2. How do I know if a train is a high speed train? Once you have done the research on the trains you will be catching, i suggest Google search to find out if they are high speed or not. 3. Does this look like a relaxing itinerary or should I take out/add something? I wouldn’t change a thing! You have allowed plenty of time in each place with priority given to the coastal towns. 4. Should I stay in Sorrento for a couple days or will the Amalfi coast have beaches?’ The beaches are better on the Amalfi Coast than in Sorrento. If you plan to spend a lot of time on the beach then stay in Amalfi or Positano. I personally loved spending the night in Sorrento because the town has such a great atmosphere in the evening. 5. Can I take out Florence and instead head from Cinque Terre straight to Amalfi Coast? Yes you could take out Florence if you want to spend more time elsewhere. Alternatively, a smaller town in Tuscany might be more your speed. This would give you some time to get out in nature as well. Siena is one, although still quite big but very beautiful. Maybe San Gimignano. Hi Jen thank you so much for your wonderful trip description, I am so thrilled to go to Italy this July for two weeks. I wanted to ask you since I see your trip started in Rome and everyone recommends flying into Rome from NY, I was thinking to start at Rome and fly out of Venice back to NY would that be just as fine. Also I read that it is advised to purchase a city pass to get quick access to museums and other sites, what would you recommend? We love art and wanted to see as much as possible, Thank you. Yes, as the itinerary suggests above, to make the most of your time I suggest flying into Rome and out of Venice. A city pass is a great option if you are going to access lots of the included activities on it. Thank you, Jen, for all this wonderful information. Planning a trip to Italy in September and you have helped immensely! Great to here thanks Beth! Love your recommendations and feedback to all the comments folks have thrown your way. We are planning a trip for 6 to 8 of us in early June 2019. We are trying to maximize 2 weeks, but not also over whelm ourselves. We are working on the two options and looking for what makes most sense between the two when it comes to utilizing the train system to get around and explore. Thanks for you message. happy to help where I can. The major difference I can see with these two is that in the second option you are skipping Florence in favour of more time in Cinque Terre and Amalfi Coast. I guess the decision is down to which you would prefer to do more. If you like being by the water more than in a city full of museums then option 2 would be the best choice. If you want more variety from the trip then I would go with option 1. For option 2, I question whether you will have enough time to stop in Pisa. I would suggest looking into this a little more to see if it is viable. 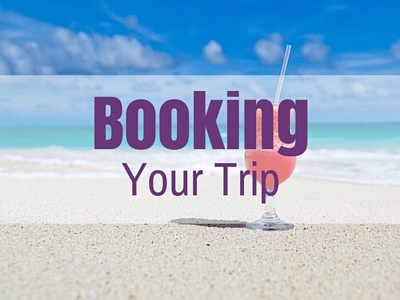 You also mention in both itineraries about booking a car. What are you going to use this for? If it is to drive to Rome, you could easily take the train. Once you arrive in Rome, traffic and parking will be an issue if you have a car. I hope this helps and if I can help with anything else, don’t be afraid to ask. Thank you for the feedback and response, the discussion for the car is to get transportation (private driver or taxi) for travel to and from a larger coastal city where there is a train to the smaller town of Praiano for our stay in Afani coastal area. Hi Jen, I’m from Canada and really want to plan a trip to Italy. Your site was the first one I looked at and looks great. Are there alot of foodie spots on this tour as I’m very interested in the food culture there. Italy is foodie central! Everywhere you go you will find amazing food. Just be sure to choose restaurants away from the tourist hot spots. Look to backstreets and unexplored local only areas and you will find great places to eat. Great post and information! I am planning a solo trip to Italy this winter over the Christmas/New Year holidays (12 days) and was having trouble with finding ideas on itineraries. Needless to say – I LOVE your site. Great read and pictures, plus the comments are super helpful. I like your posted itinerary, with the exception of starting in Venice and ending in Rome while skipping Assisi. Do you (or any readers) have any suggestions on where to spend New Year? I will likely be spending Christmas in Budapest and then head over to enjoy Italy (which has been on my bucket list for YEARS). I know I won’t get to see everything this trip, but it will leave me wanting to come back again. Which is fine and dandy. Thanks Liz. Glad you have found this so useful. Any of the bigger cities like Rome, Florence or Venice will have big fireworks displays, concerts and organised events for New Years. I guess it depends on what you are after. If you want to go to a club, Florence has good ones. If you want to be out on the street, Rome or Venice might be better. I think anywhere you be will be different from where you come from, so will be a great experience for you. Very helpful information — thanks for doing so much legwork for the rest of us. 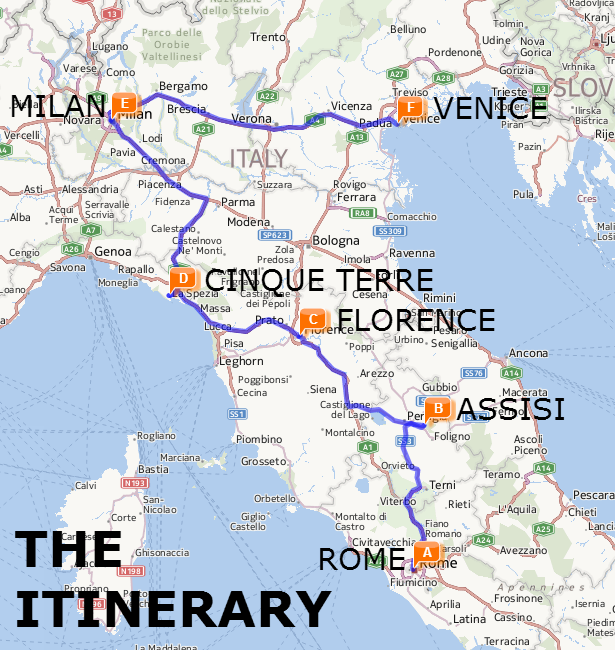 We have 10 days and will focus on Rome (6 days) and the Amalfi Coast/Pompeii (4 days). It’s our first visit to Italy, but I prefer going to fewer places with more depth. But, what do you think about a 1-day trip by tour bus to Assisi from Rome? The train-bus seems like a lot of work for a single day, and maybe the amount of time in Assisi isn’t very different on a tour vs. having to meet the train and bus schedule. Thanks. A tour to Assisi could work. Another alternative could be a day trip to Orvieto. It is only just oven an hour from Rome by train and is similar to Assisi in that it is a hill town with lots of historic buildings, a beautiful cathedral and interesting local stores and restaurants. I actually enjoyed Orvieto more than Assisi as it was not at all crowded. I’m going to Italy for 12 days and while I want to go to Rome, Florence and Pisa, I’m not sure if I should go to Amalfi Coast or Cinque Terre. Which one is better travelled with family? I’m leaning towards Amalfi Coast but not sure who easy it is to go from town to town. How old are the kids? If they are teenagers and good walkers then Cinque Terre. If they are younger suggest Amalfi. Excellent detailed information of Italy. I am planning around 15-17 days tour to Italy in May 2019. Would like to visit scenic places more than museums kind of. Please help with the itenarary. All my suggested itinerary is above in the post including additional places to visit if you have more time. Please let me know if you have any specific questions and I’d be happy to help. We are travelling to Italy in May with our daughter graduating from HS before she heads off to college arriving in Venice and leaving from Rome. Here is my itinerary. PLEASE any suggestions or changes? We think we will take backpacks (60L??) and travel high speed train. This blog is so awesome. Hi, I found it very interesting and loving the blog tips from you! Valuable tips to plan your trip to Italy and avoid beginner mistakes. Congratulations on the site and this post will help a lot of people !!! Hi – we are doing round trip to/from Rome, woukd you please advise what is the best way to travel between Venice and Rome? Train vs Air by local airlines? Definitely train. It is just a few hours and drops you right in the centre of both cities. More convenient than flying. All my suggested hotels are in the post above. We are traveling to Italy in Sept. 2019. We are flying into Genoa staying 2 nights then heading to Cinque Terre. We are planning to spend two days and exploring the 5 villages. 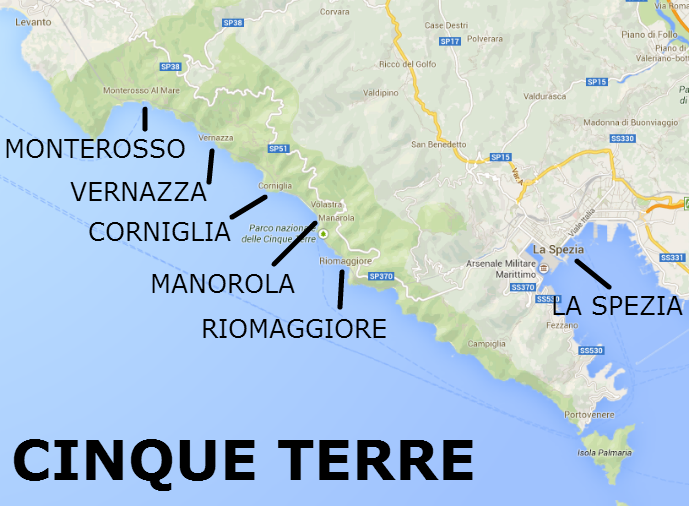 Where would you suggest we stay in Cinque Terre? After Cinque Terre we head to a timeshare near Arezzo. Thanks for your message. I suggest as I mention above that you stay in Le Spezia which is just outside of Cinque Terre. It is cheaper and very easy to access all the towns from there. We booked our 15 days trip in Italy arriving in Rome on September 20th and returning (from Rome) on October 5th. What itinerary would you suggest given that we are obligated to come back to Rome for our return flight? This is our first time in Italy. You can stick with the same itinerary, just on the last day take the train back to Rome. Make sure you leave plenty of time to get to the airport if doing this on the day of your flight. Otherwise take the train the day before and stay and extra night in Rome. I’m going to Italy the last 2 weeks of June. I’m starting in Venice then going to Meta for 2 nights. I want to go through Cinque Terre then spend some time in Florence, Rome and Dolomites. Is there a way to go through Cinque Terre from the south then go straight to the Dolomites? I’ve heard it’s best to rent a car to go to the Dolomites. Thanks! Great blog! You’ll be able to take a train from Le Spezia if hiring a car isn’t for you. You may need to make a change of train during the journey but that is very easy to do in Italy. We are traveling to Austria for an event for 9 days and following this up with Italy for our 25th anniversary. We have never been to either country before. We plan to leave Vienna on the morning of the 2nd and fly home out of Rome on the afternoon of the 11th. 1- day rent a car to visit a few small tuscan towns i.e. Voltera, Montecino? That sounds like a great trip and your plan definitely makes sense to me. I like that you will be basing yourself in Sienna instead of Florence, there is a lot to see in Tuscany.